Room with double bed (upstairs), living room with sofa, a kitchen, a bathroom with bath or shower, the floors are parquet or marble. 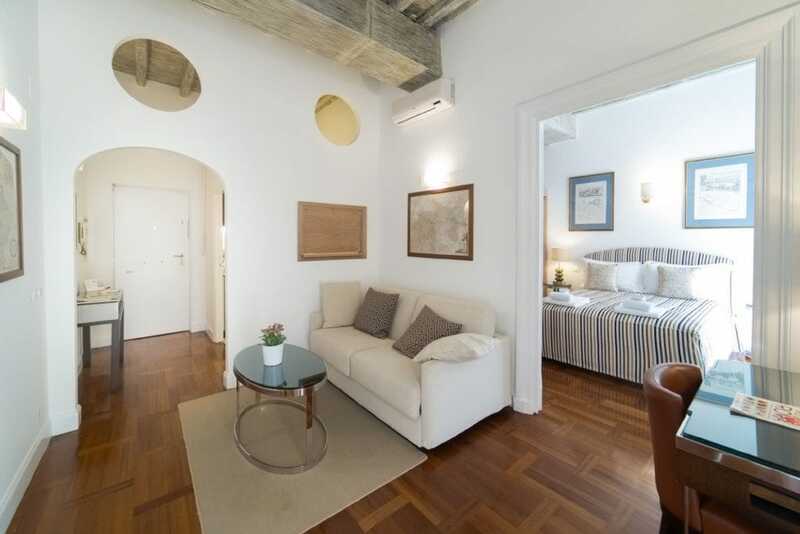 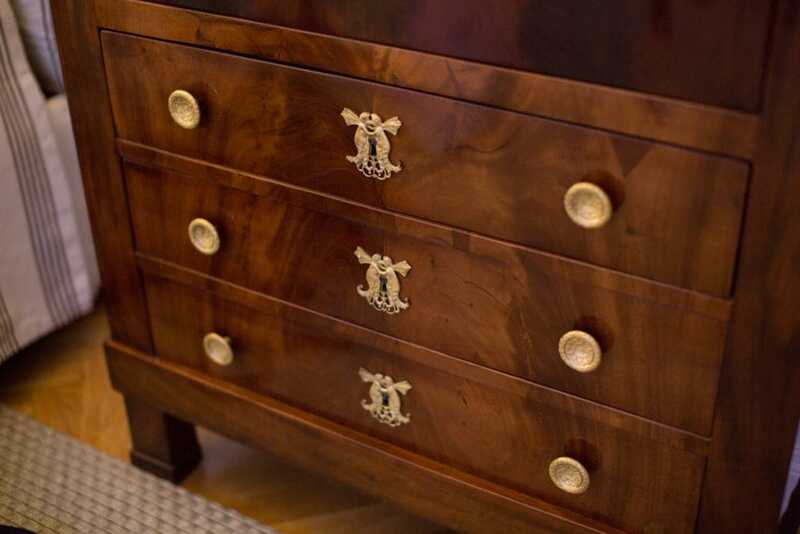 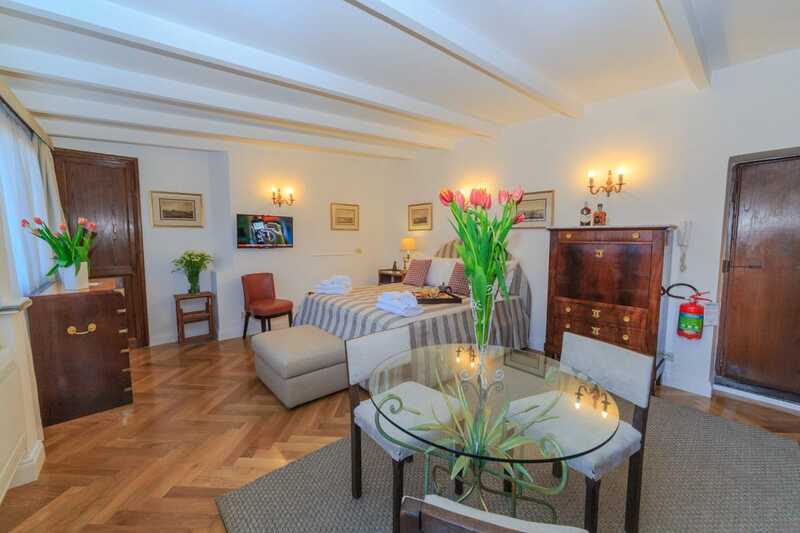 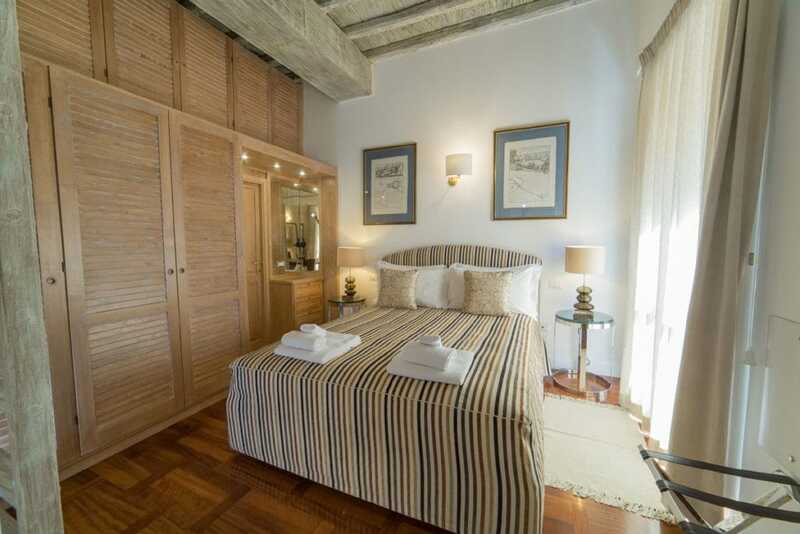 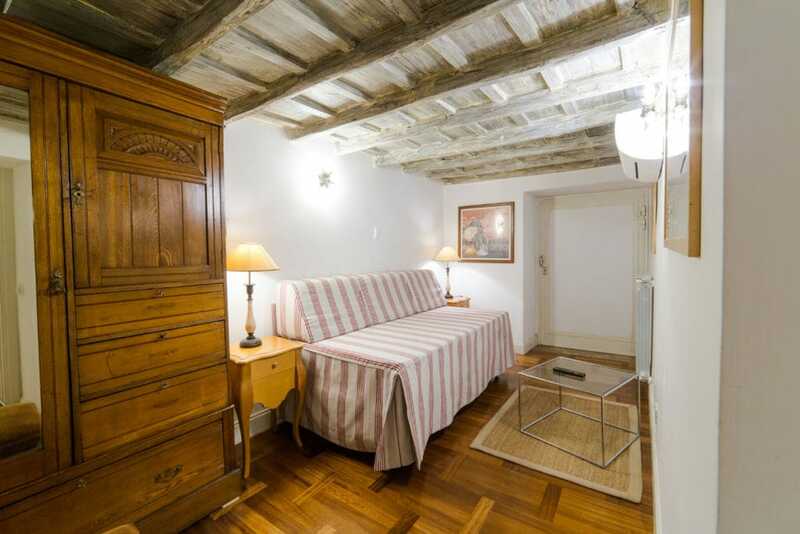 Room with double bed, living room with sofa, a kitchen, a bathroom with bath or shower, the floors are parquet. 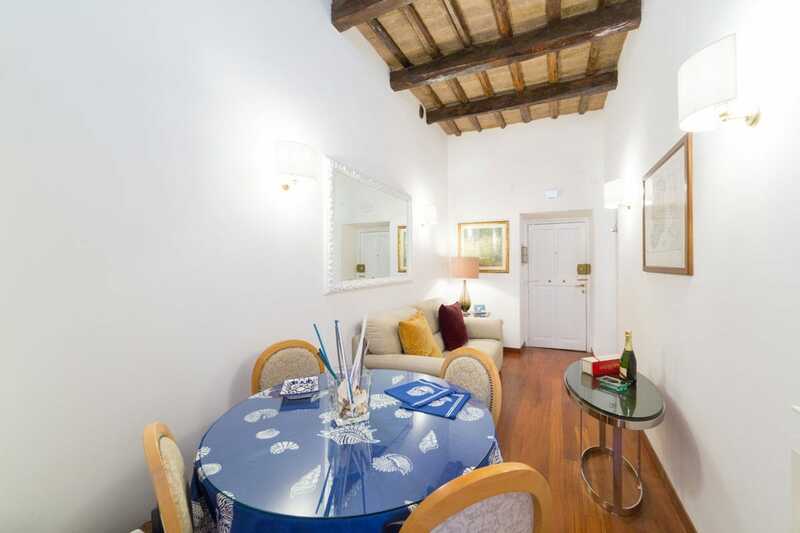 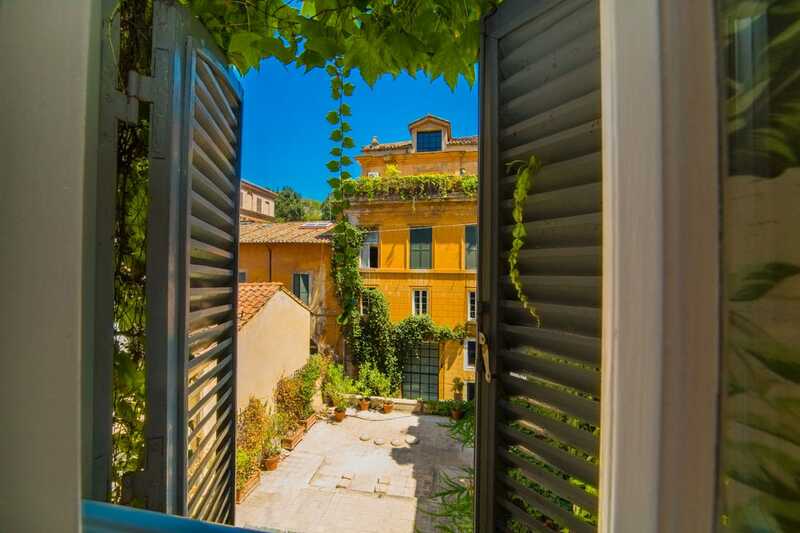 Enjoy a pretty view on Via del Babuino. 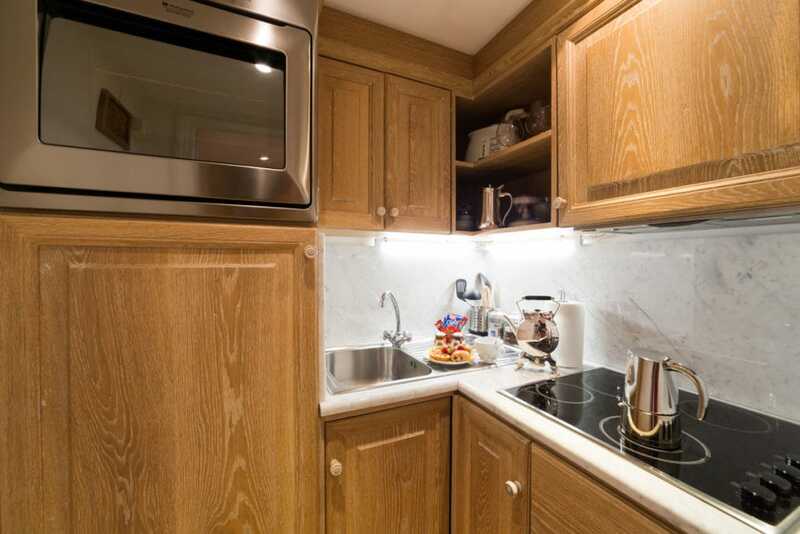 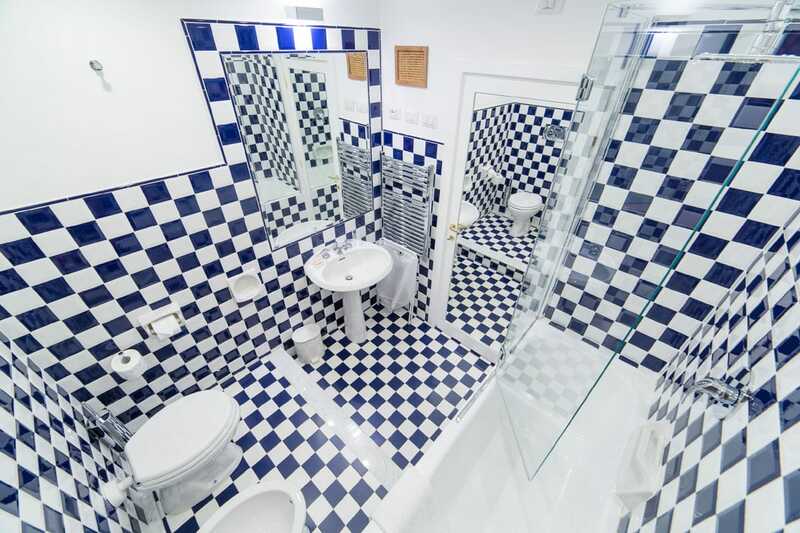 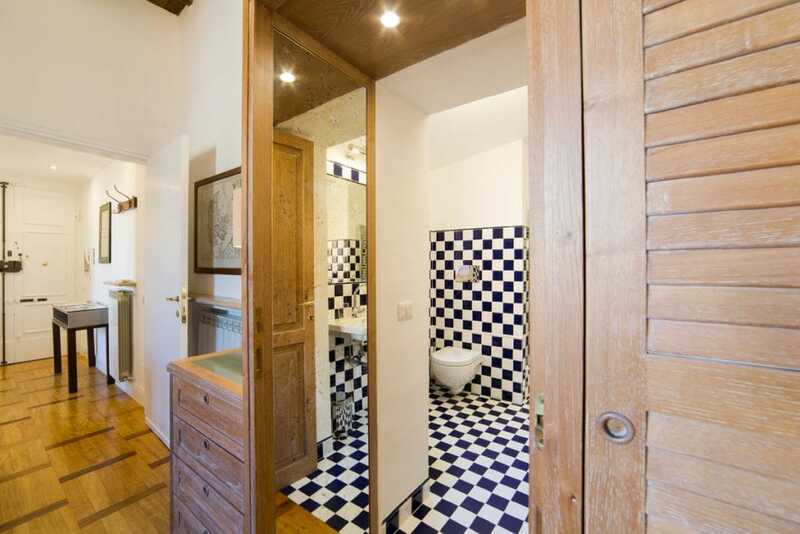 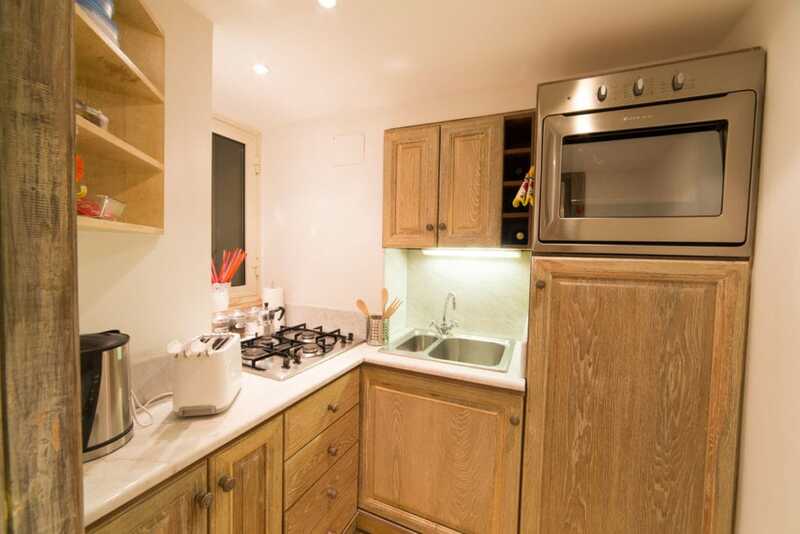 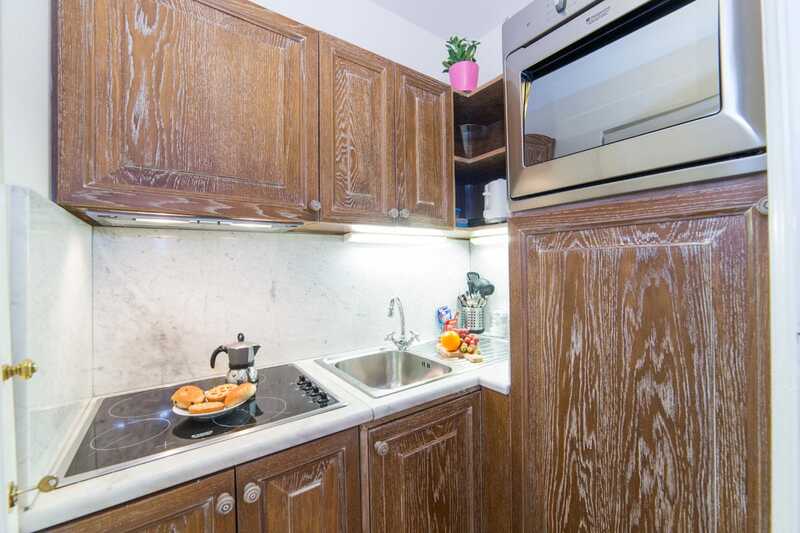 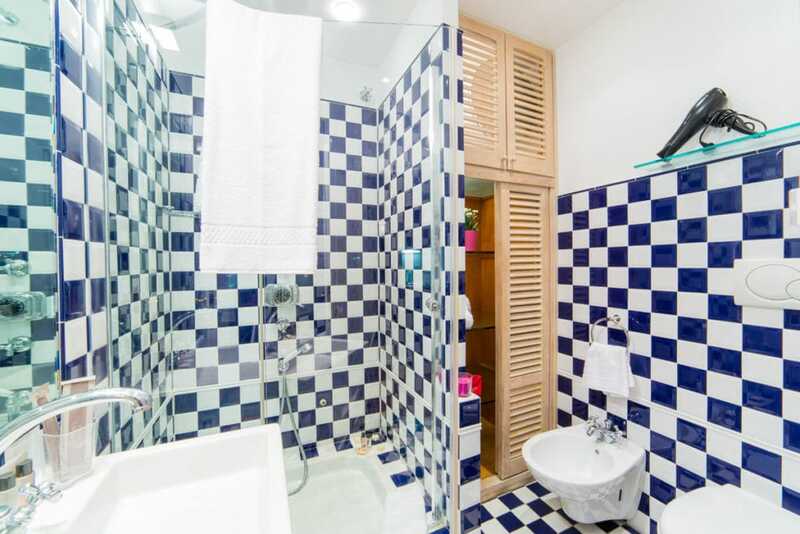 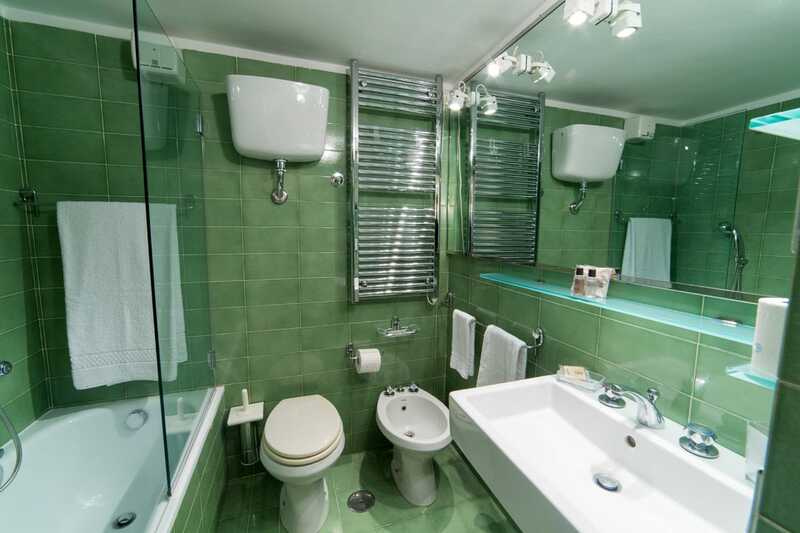 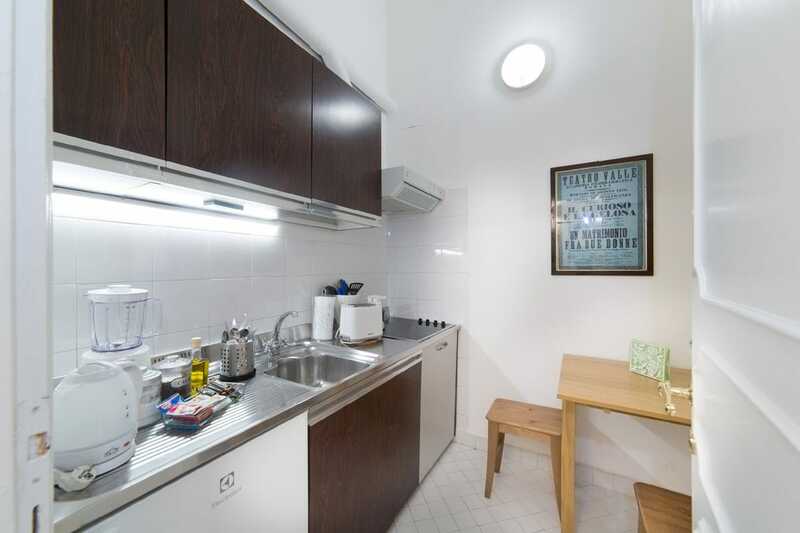 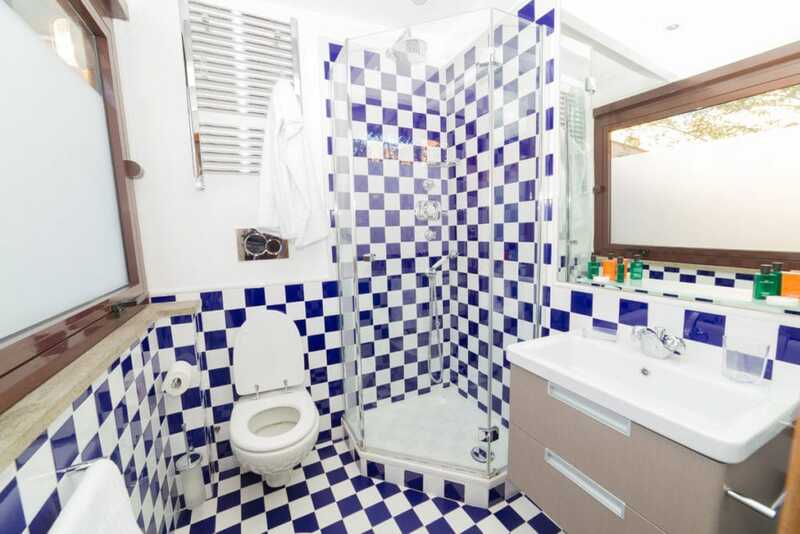 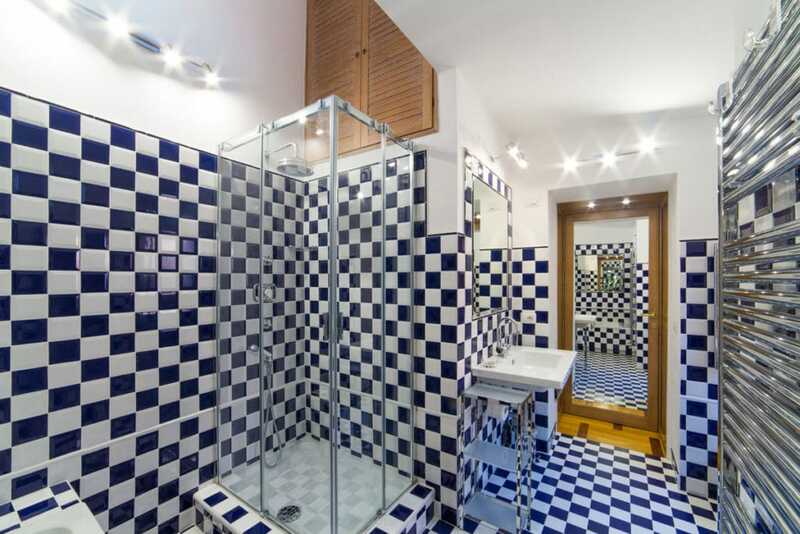 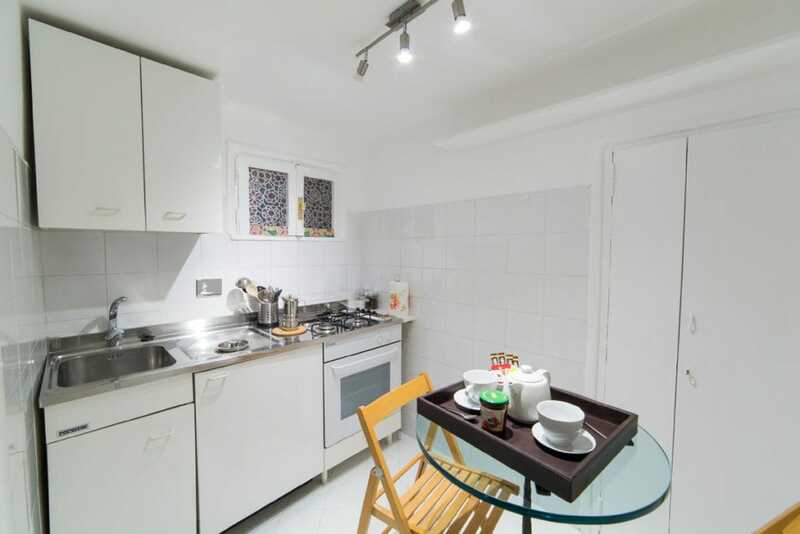 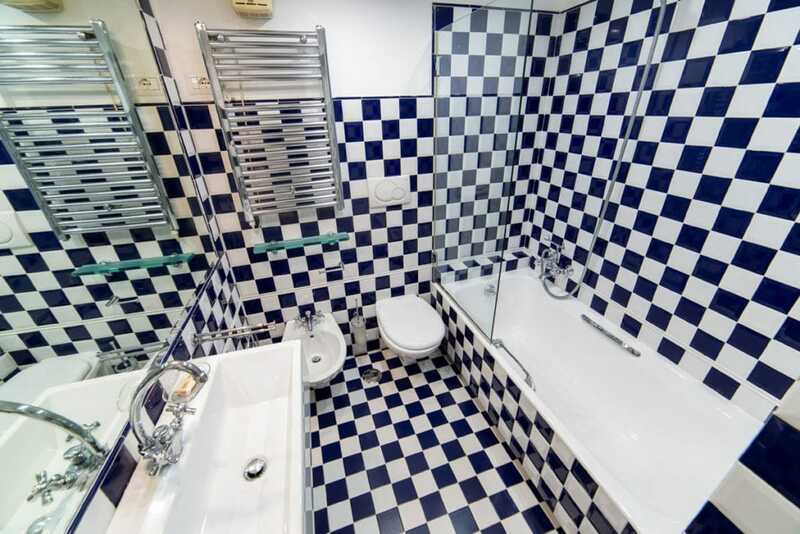 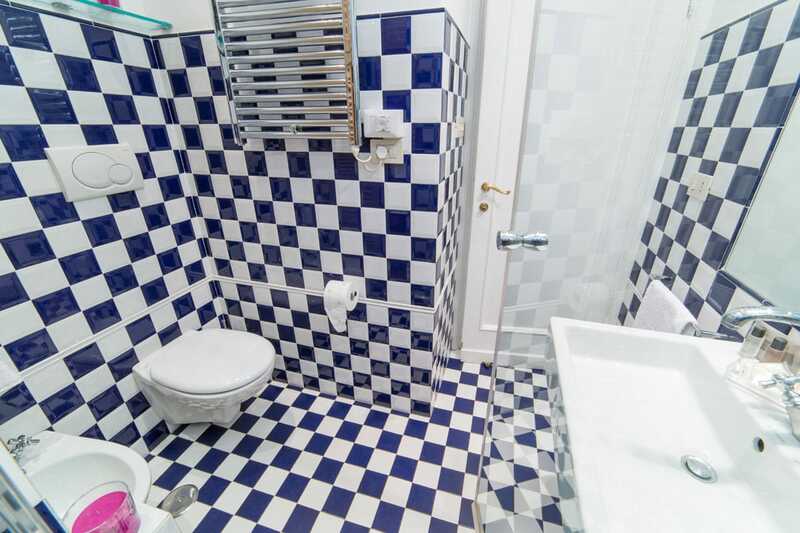 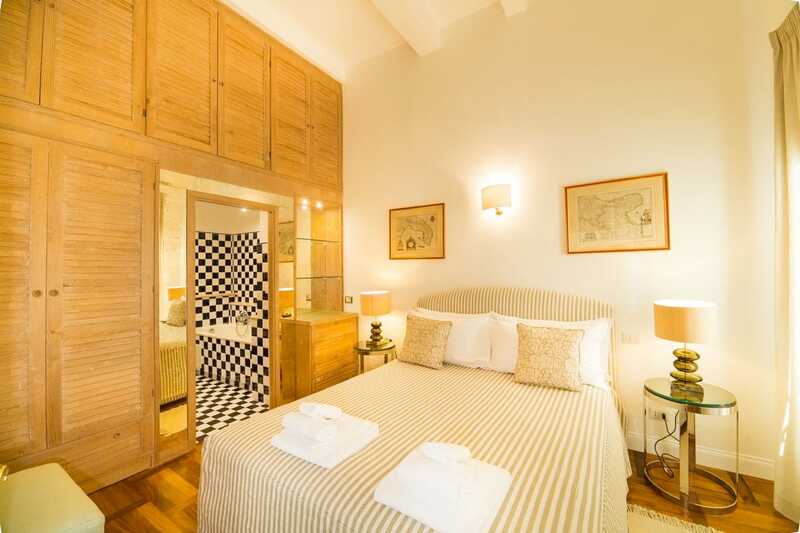 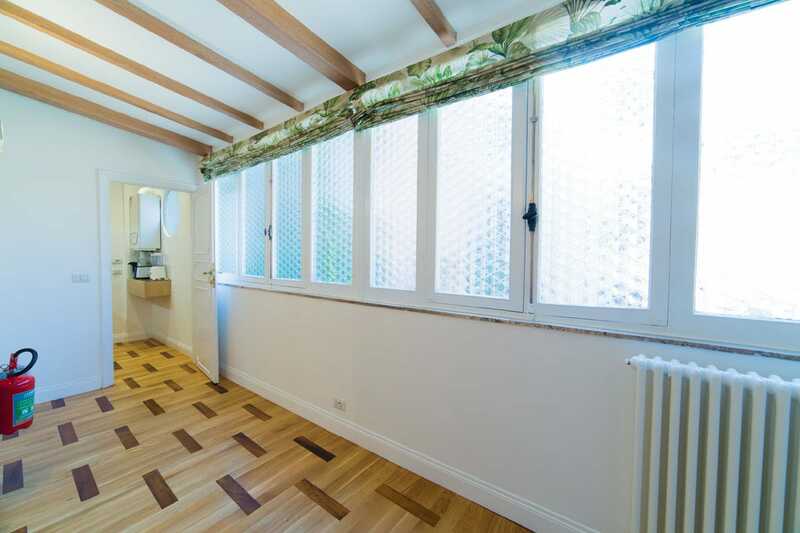 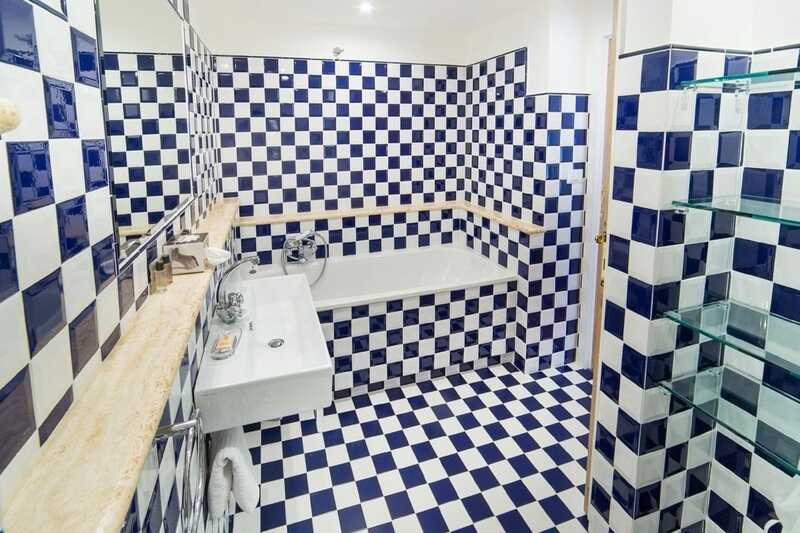 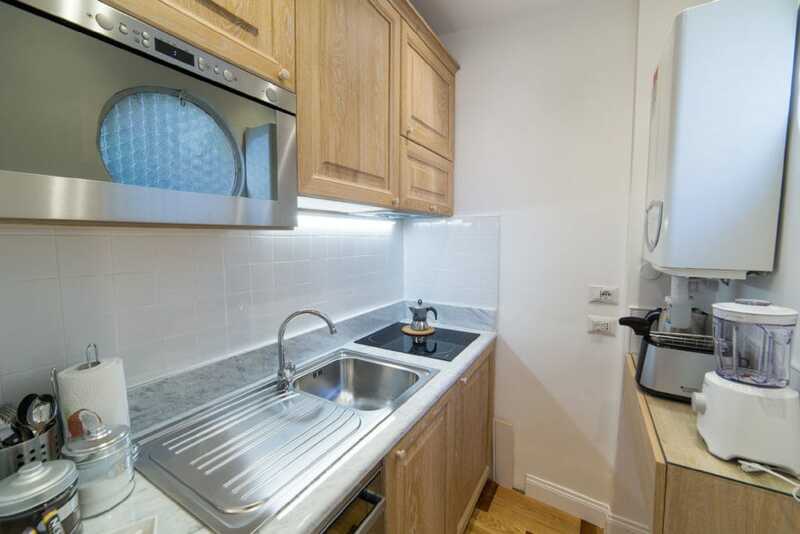 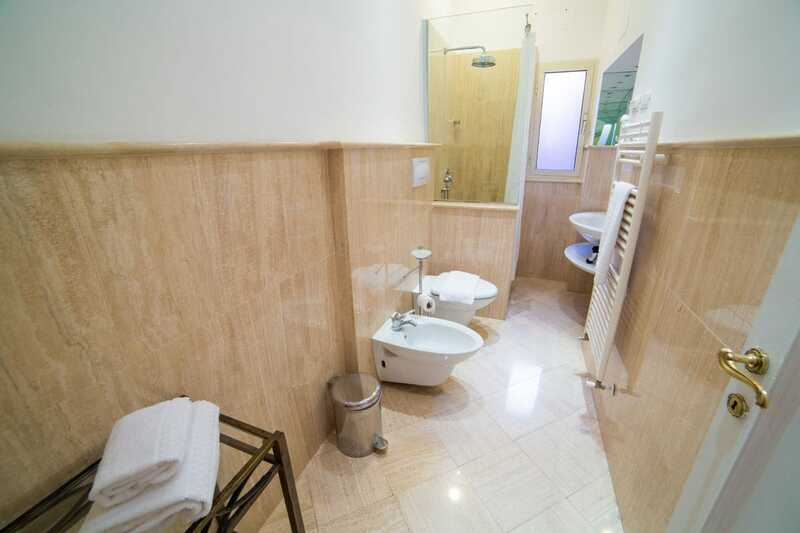 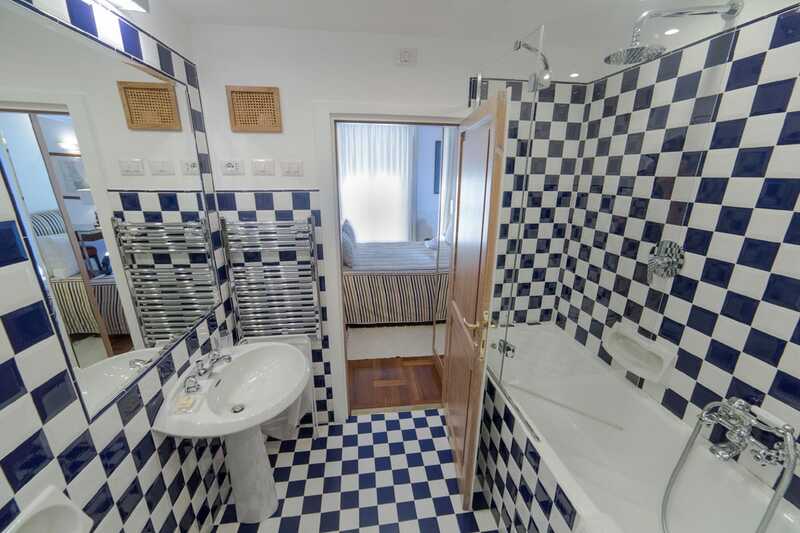 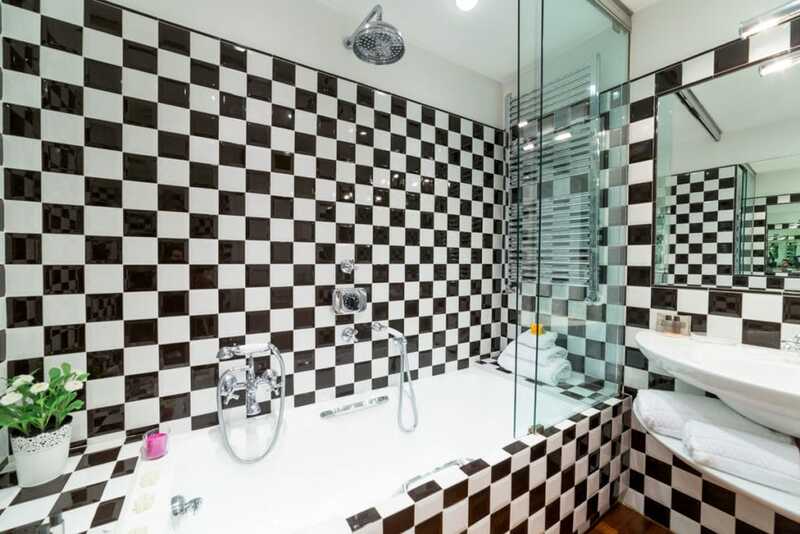 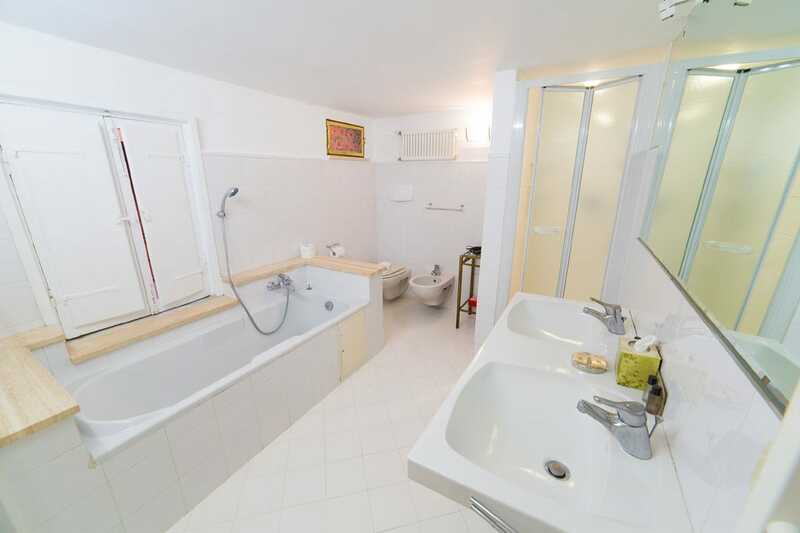 Room with a double bed, a kitchen corner, a bathroom with shower, and a parquet floor. 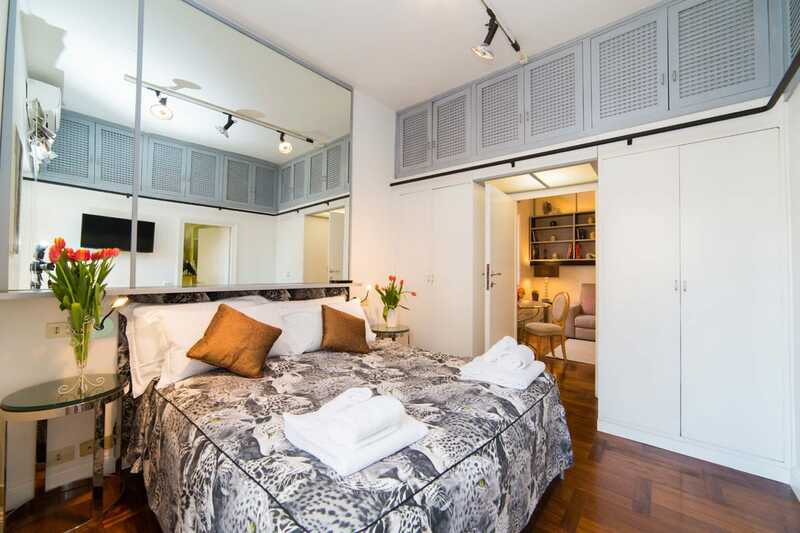 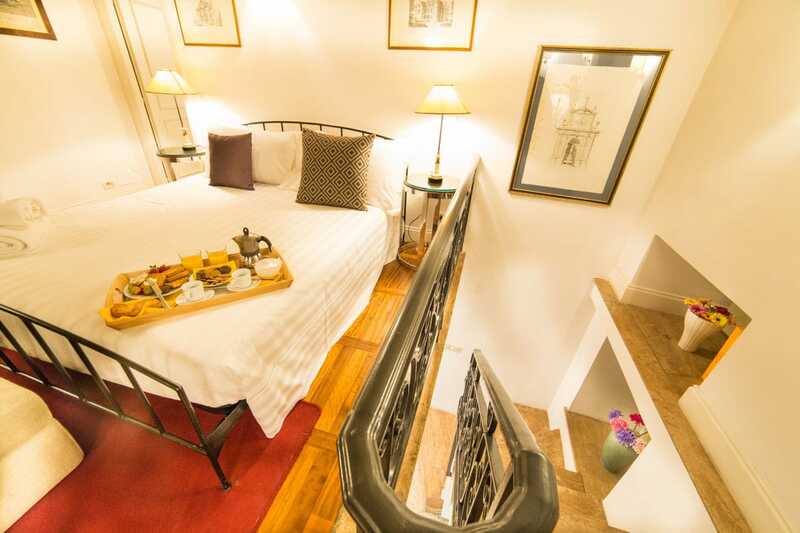 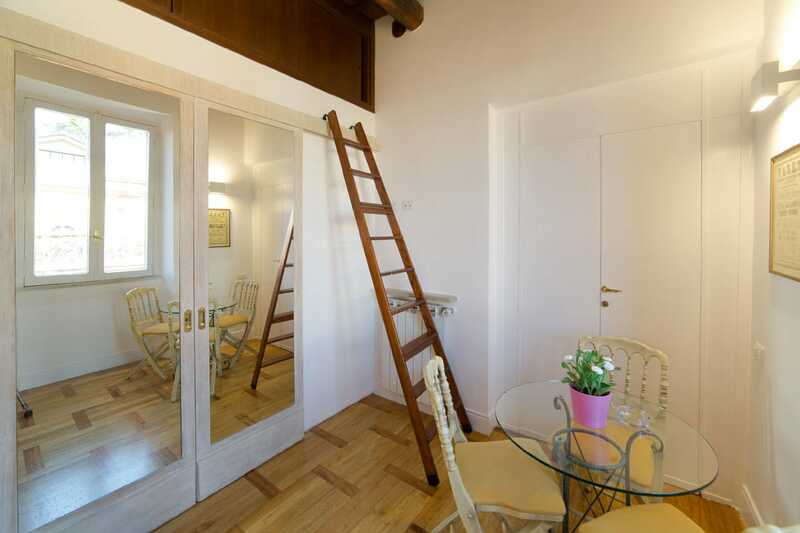 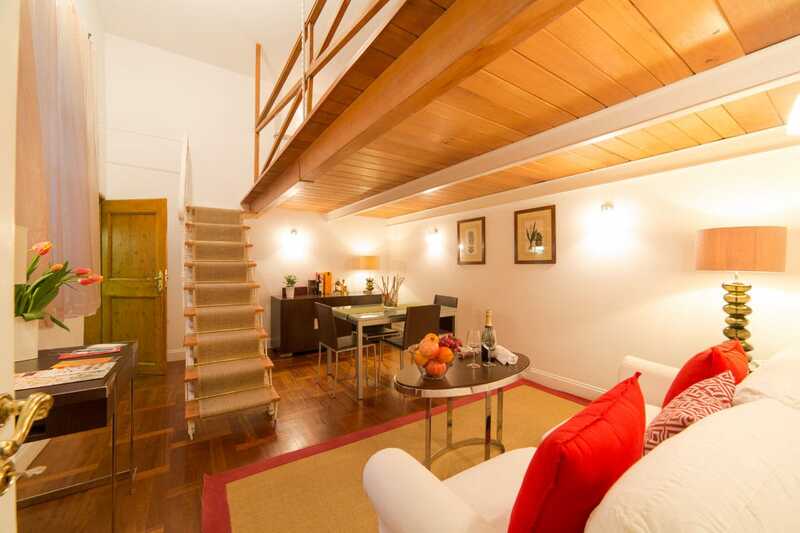 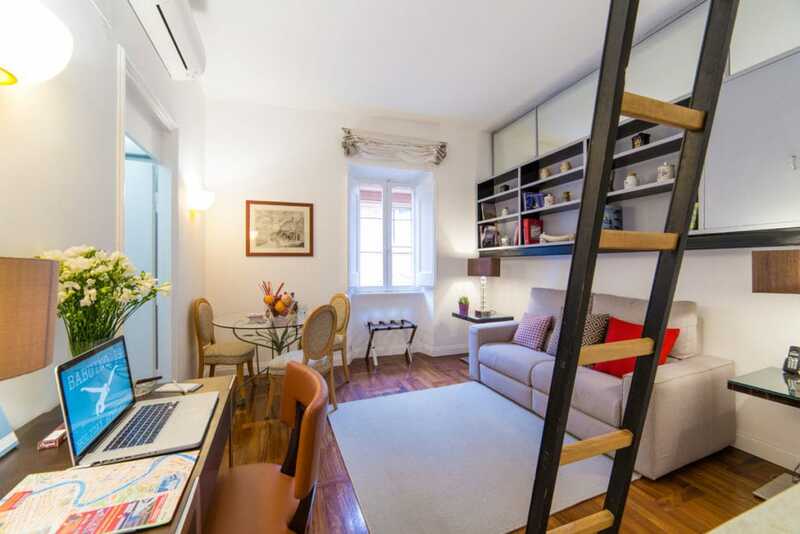 Room with double bed, kitchen, bathroom, the floor is parquet, small terrace. 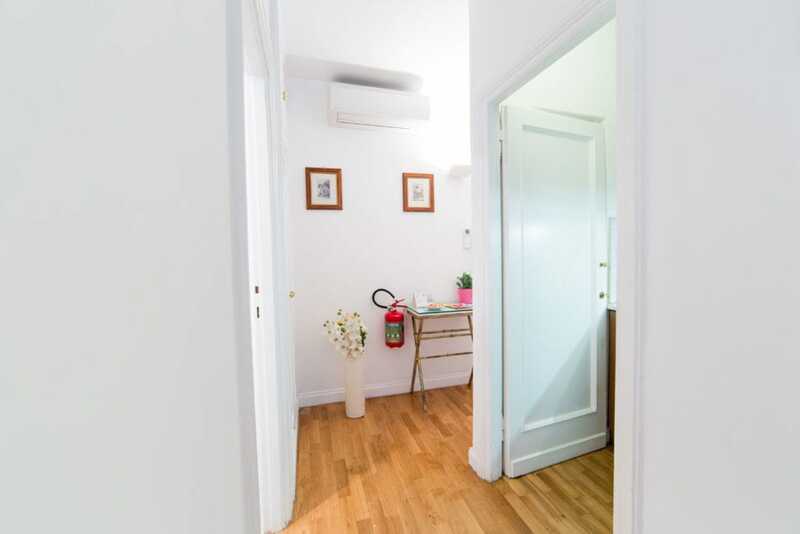 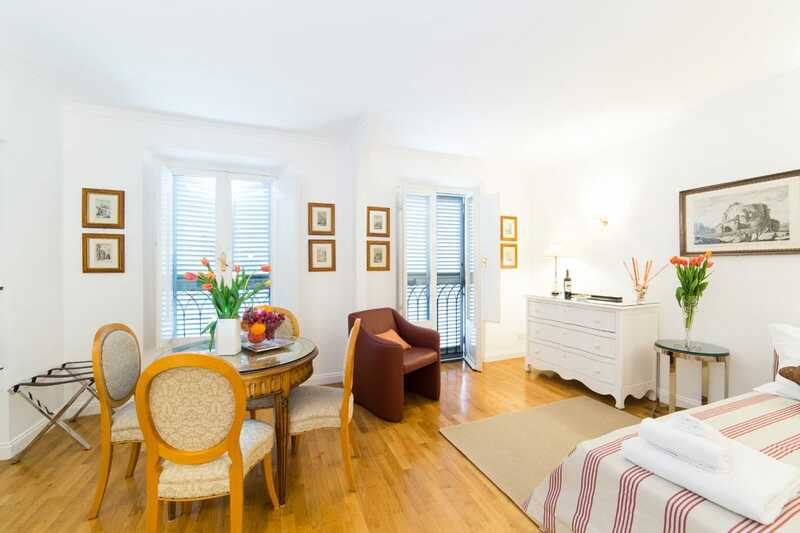 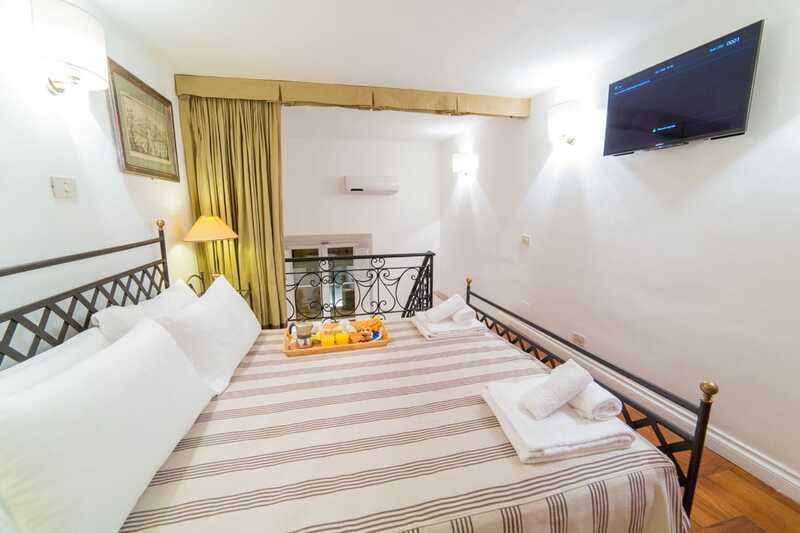 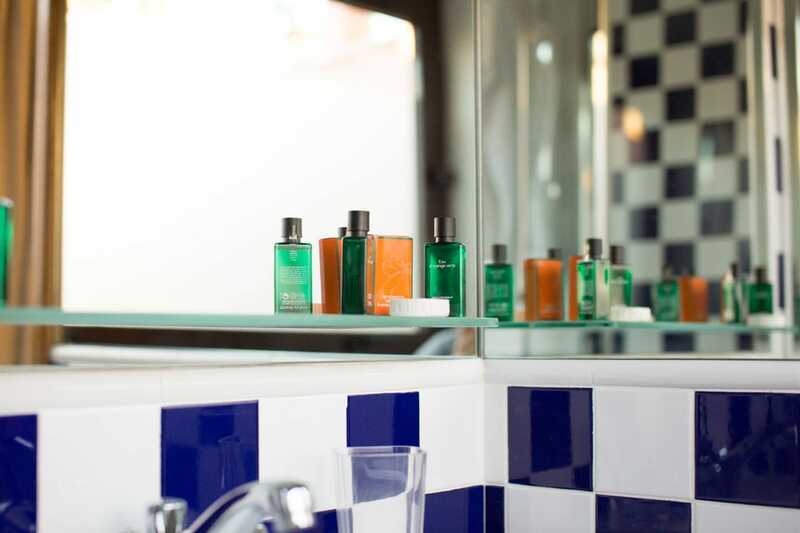 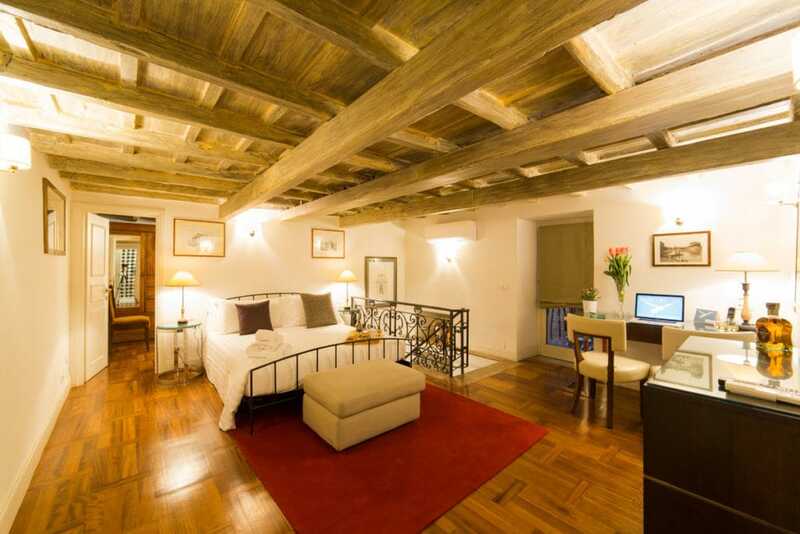 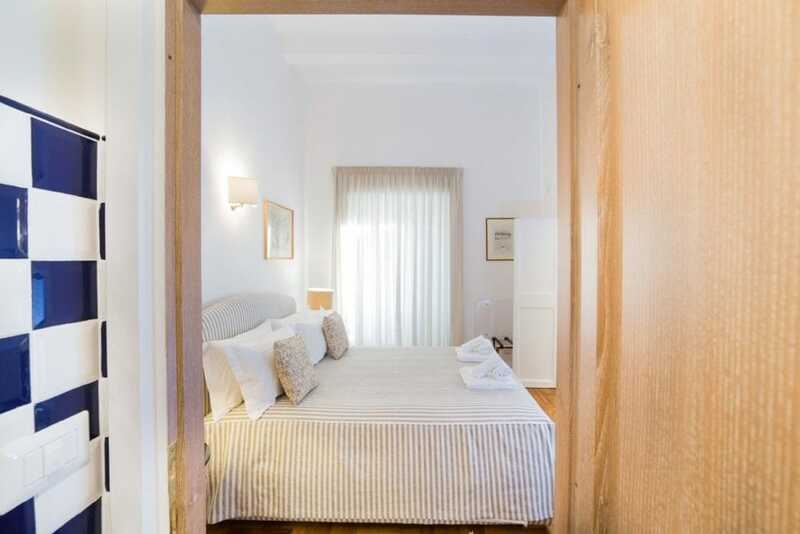 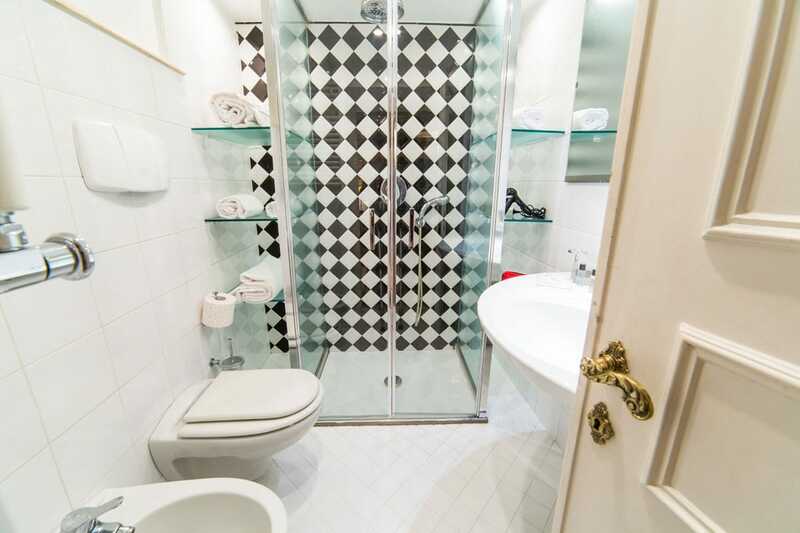 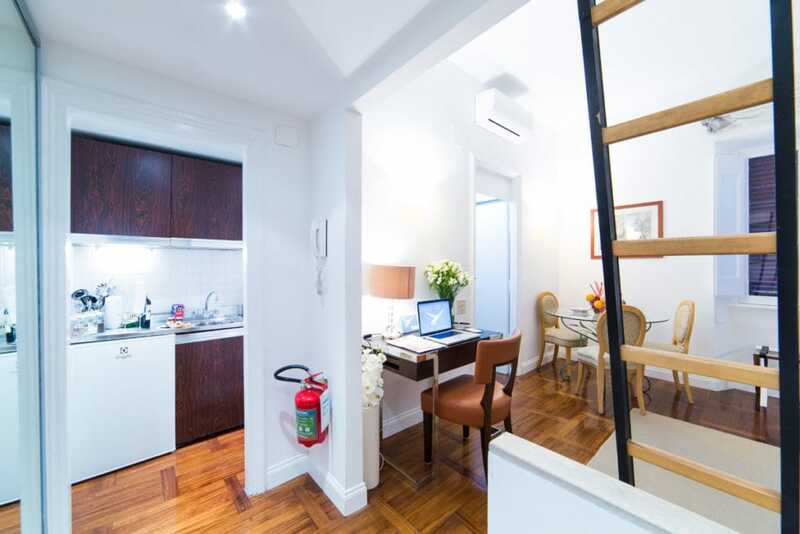 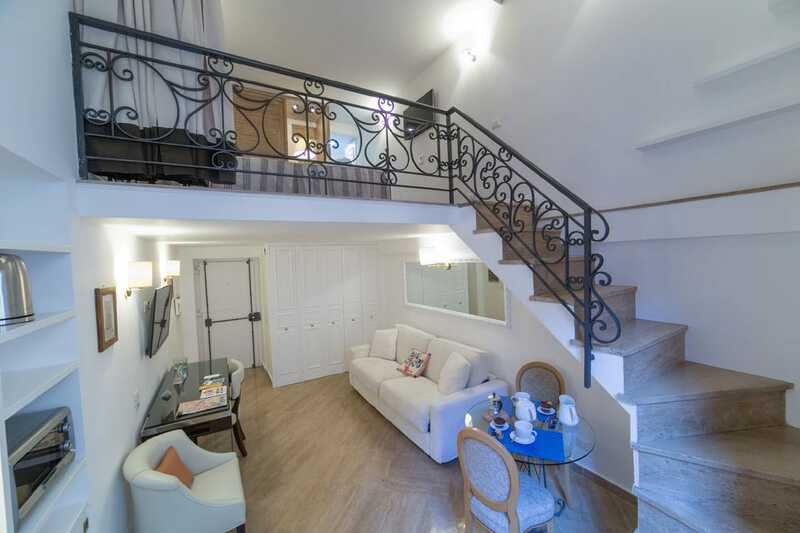 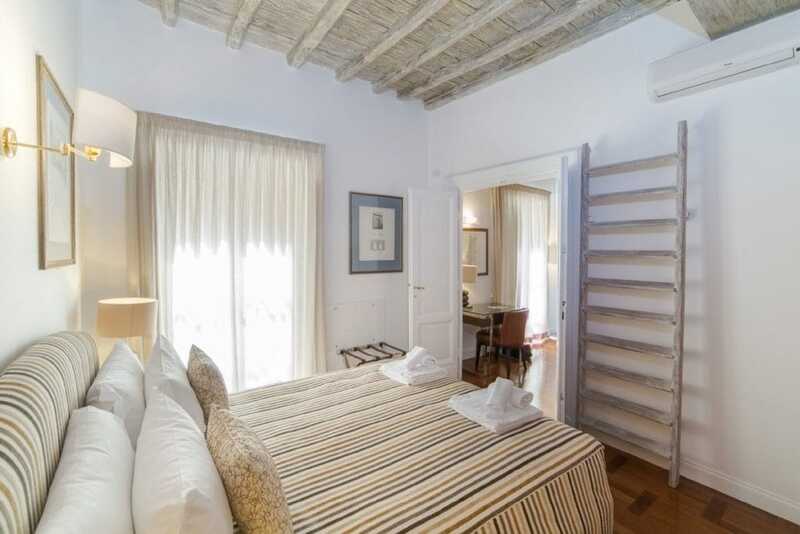 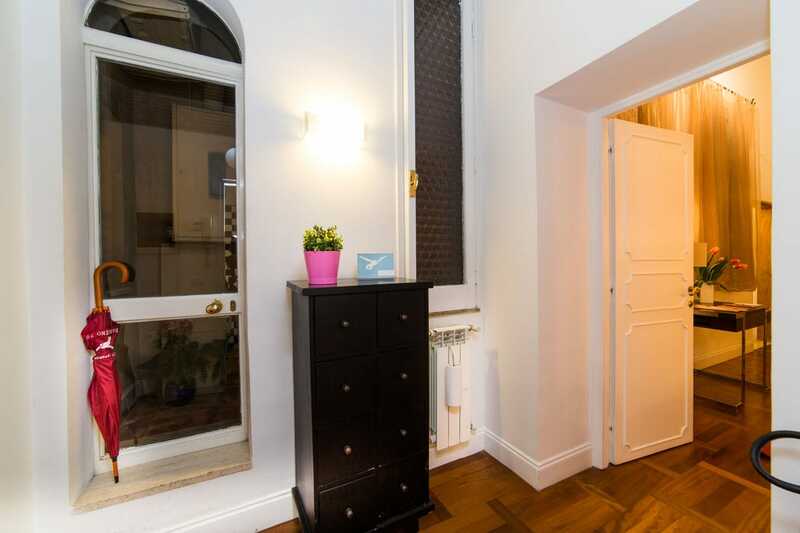 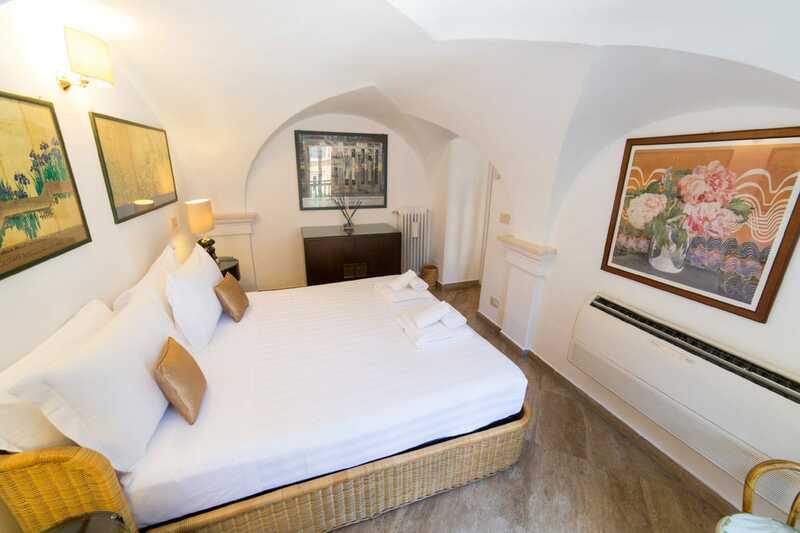 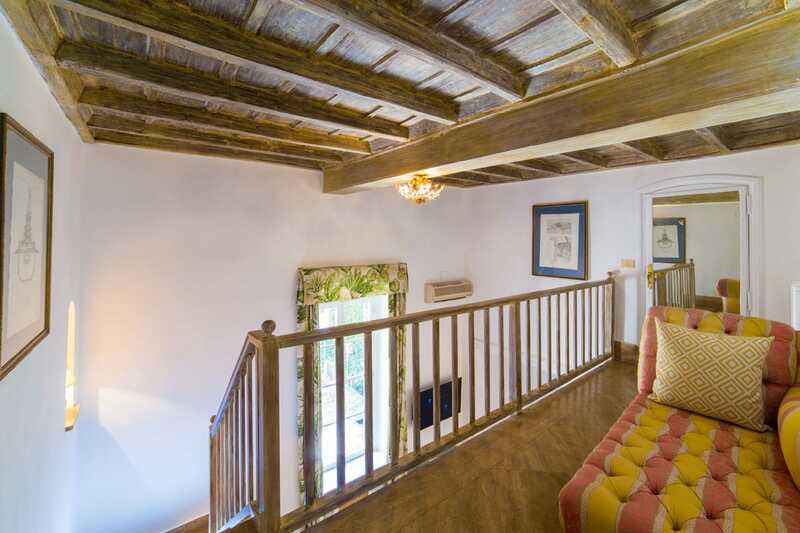 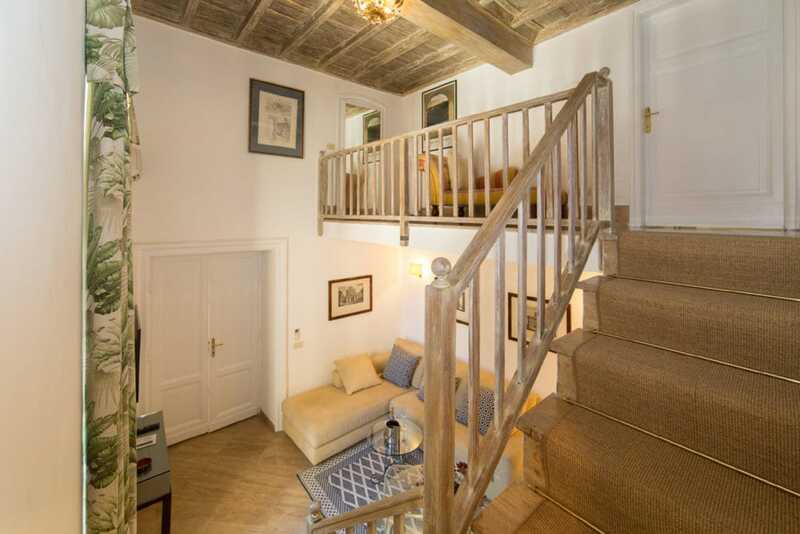 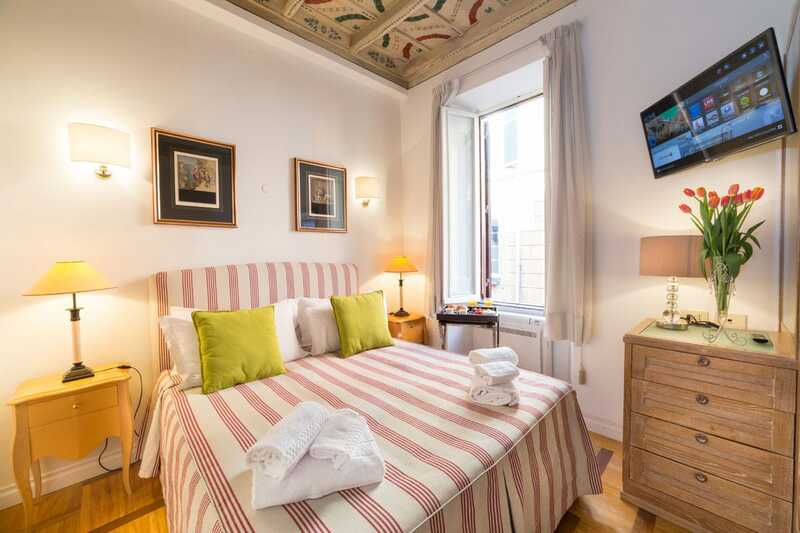 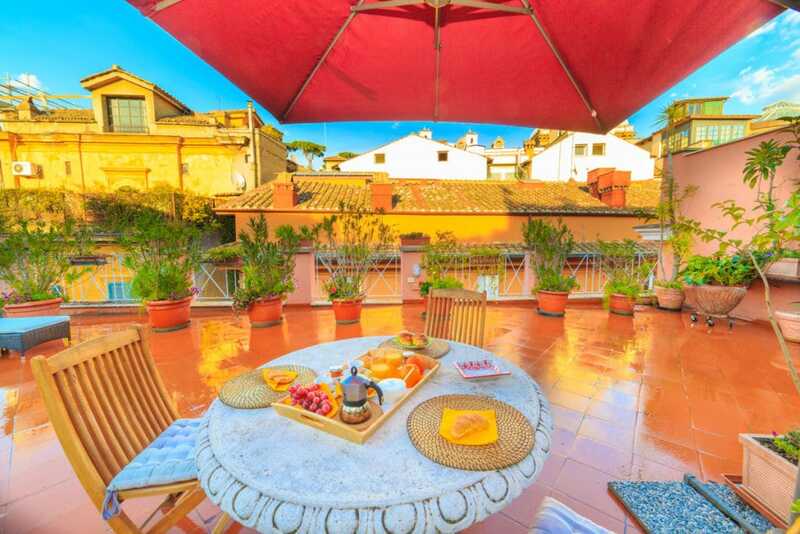 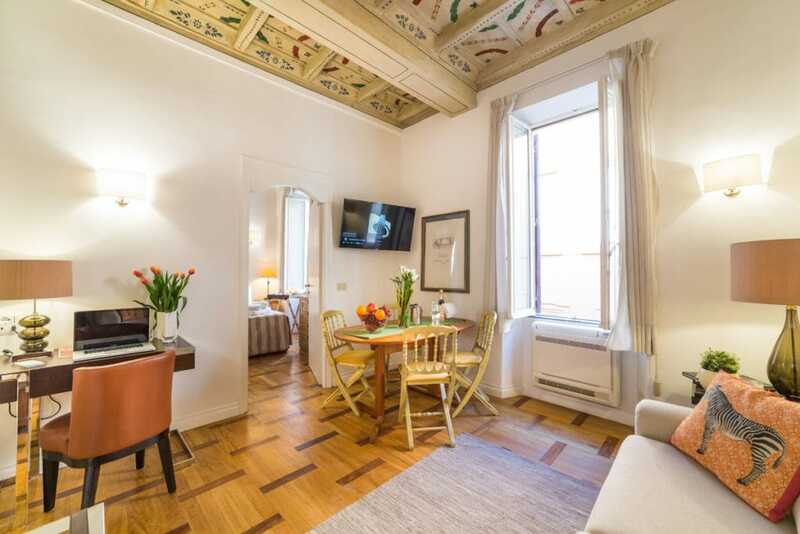 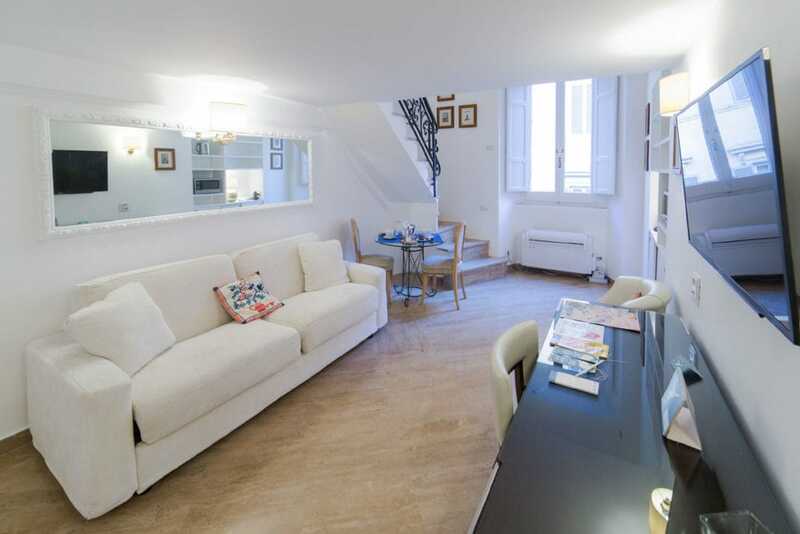 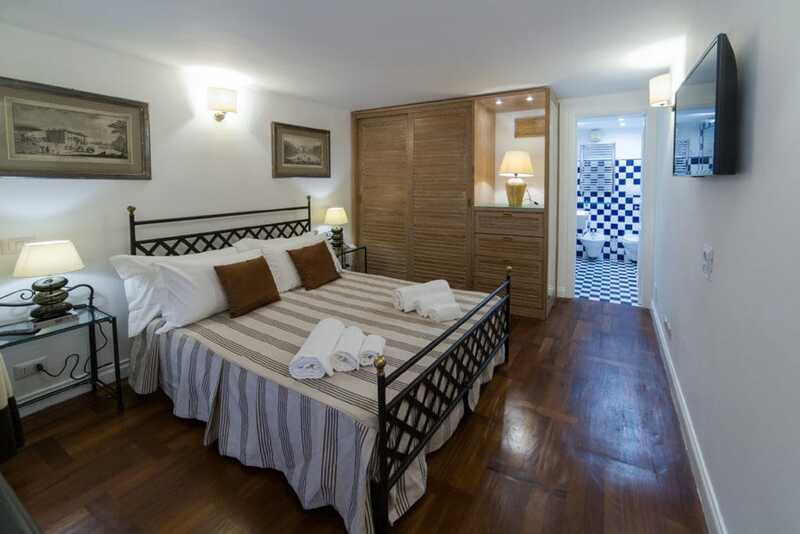 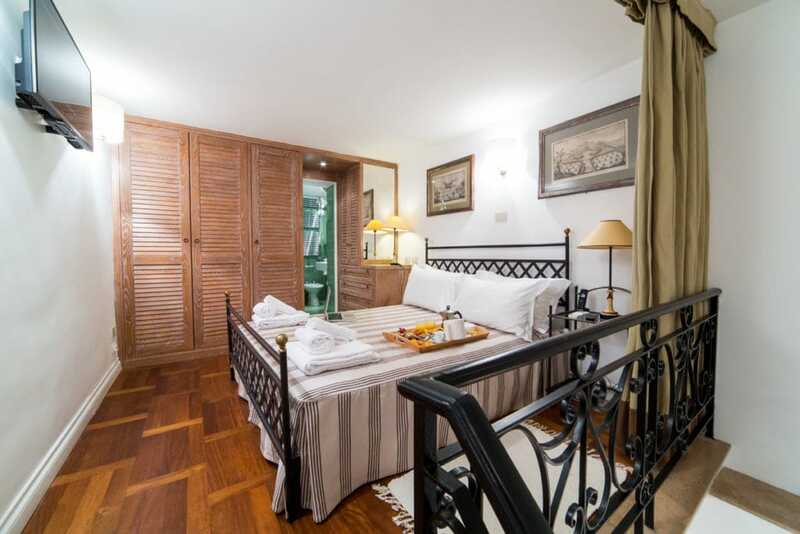 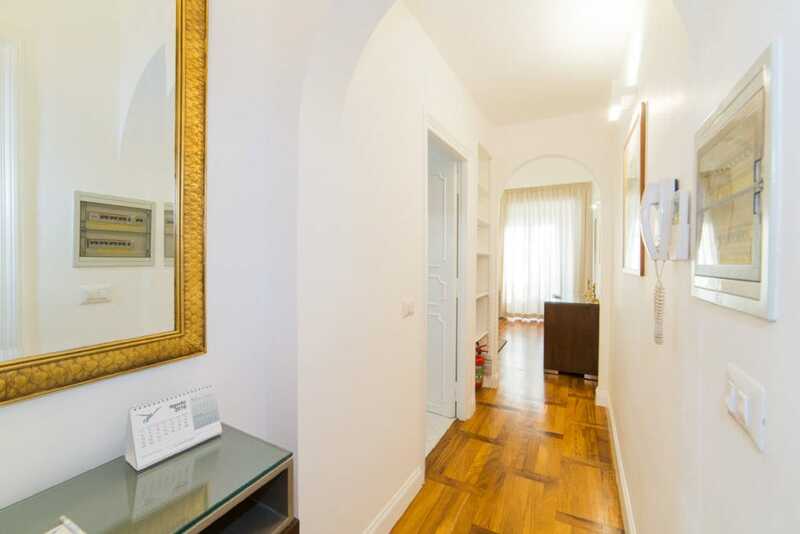 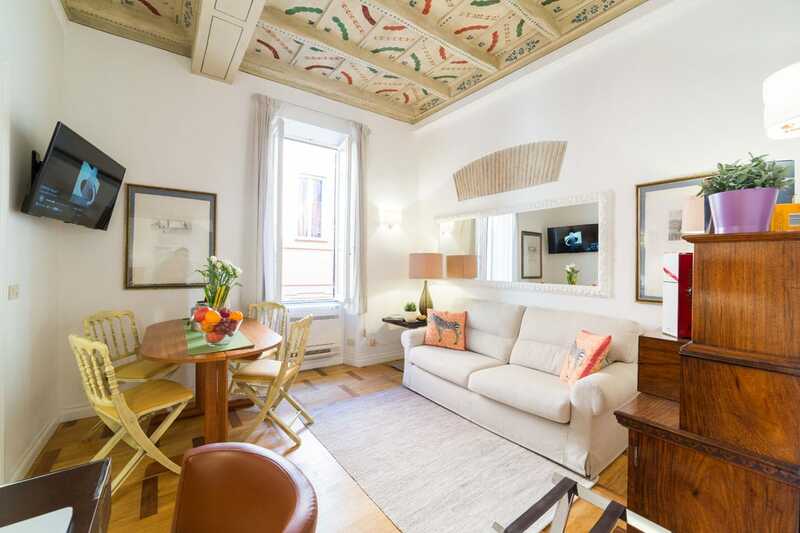 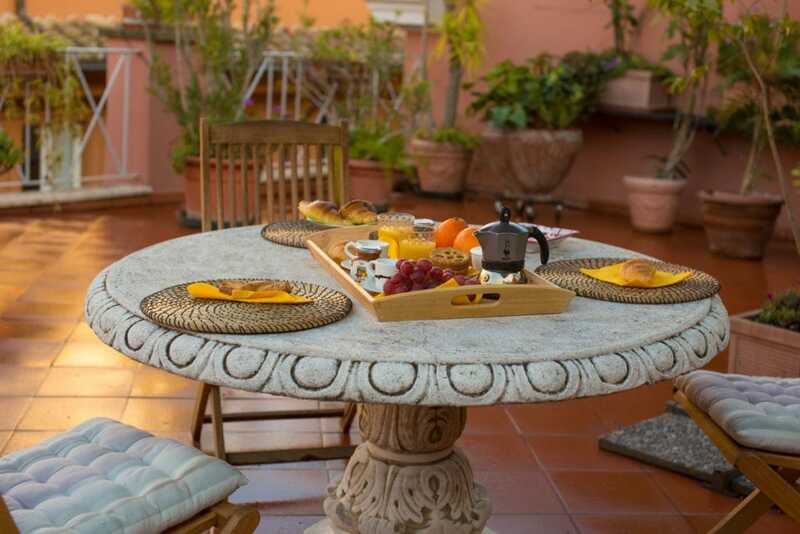 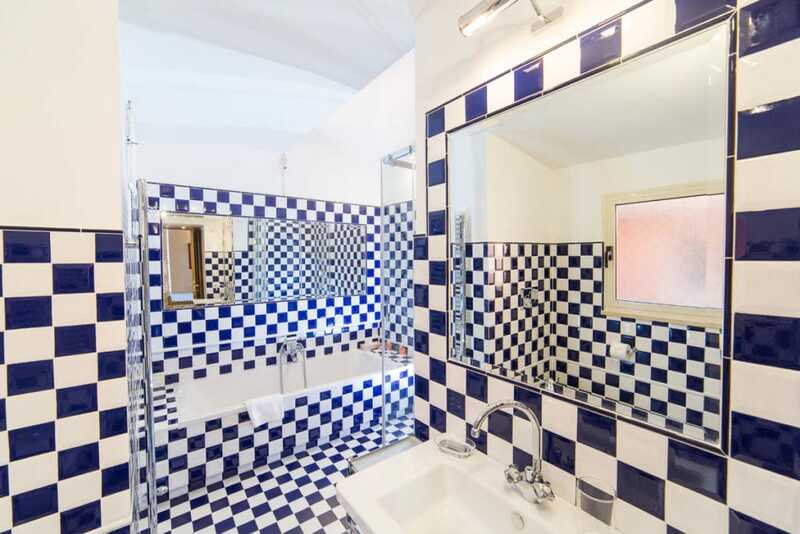 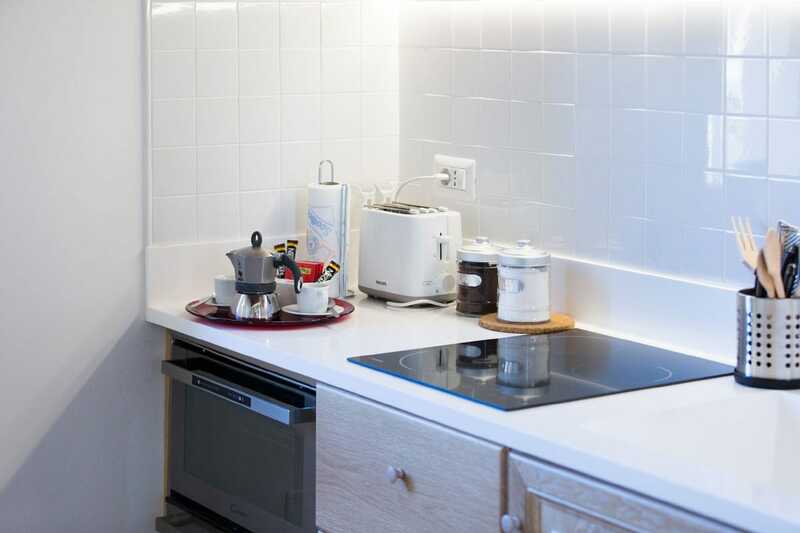 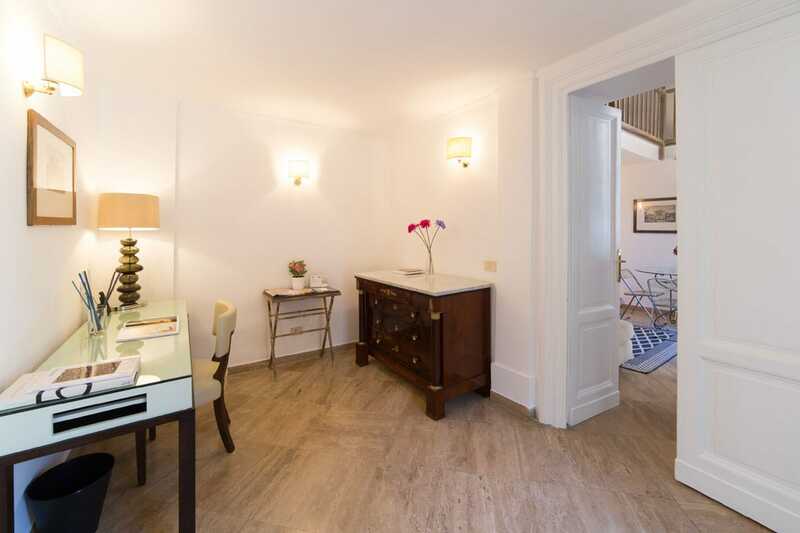 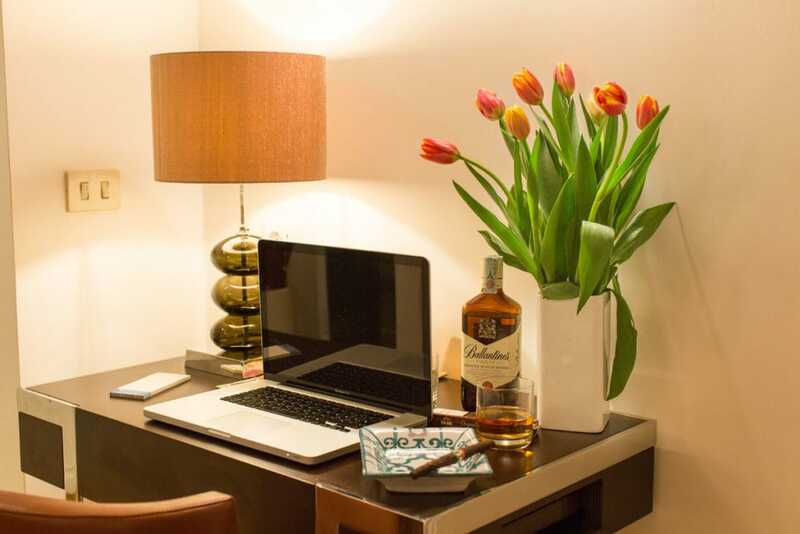 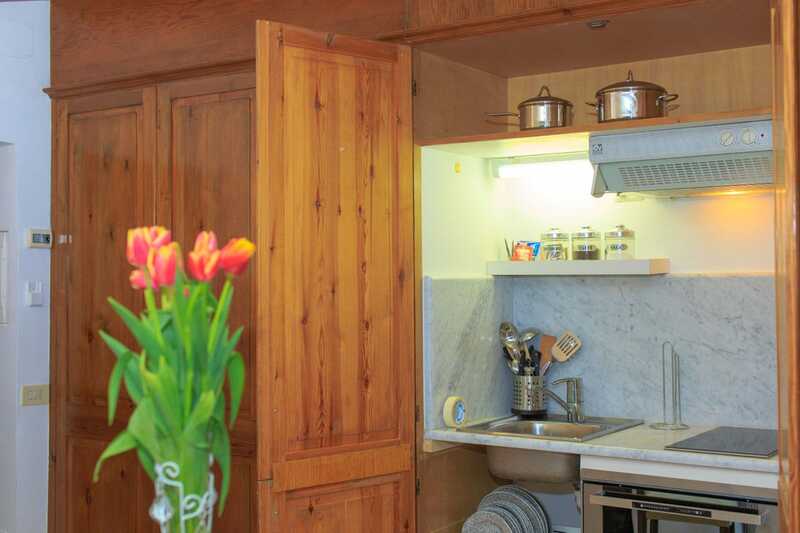 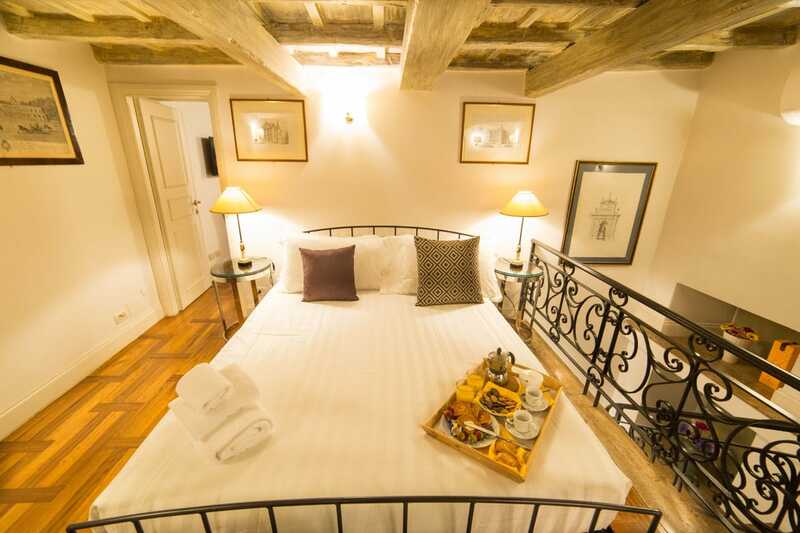 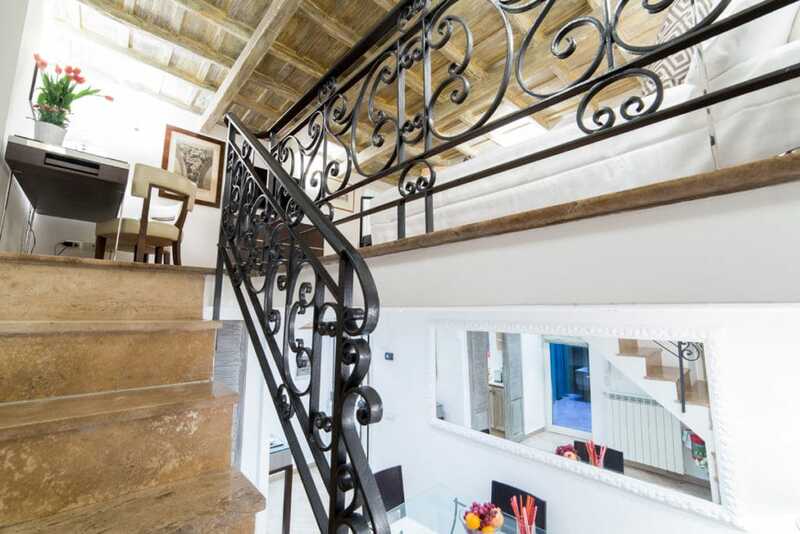 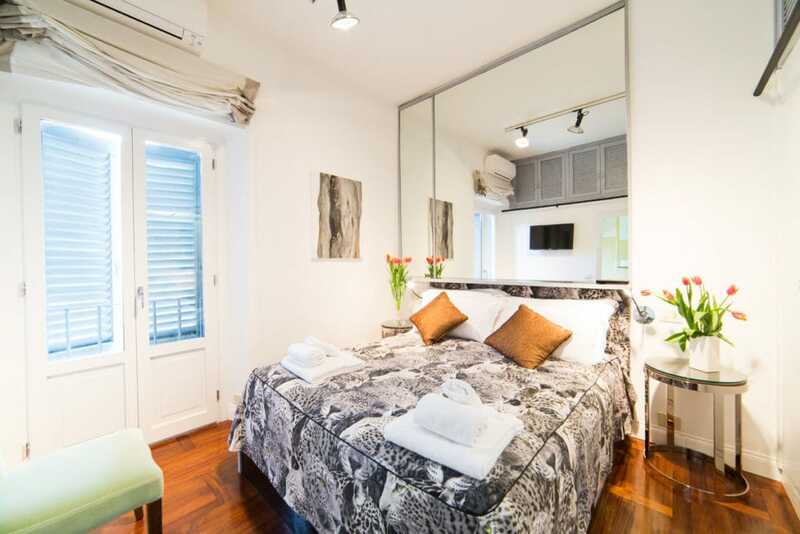 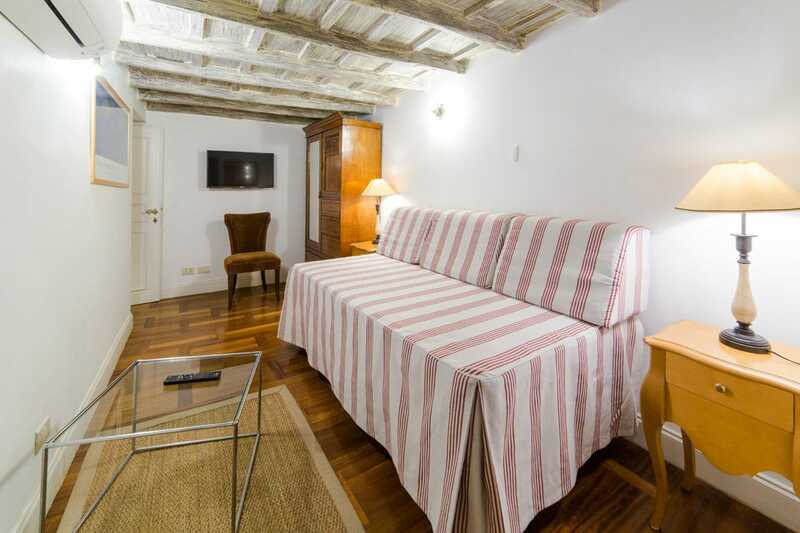 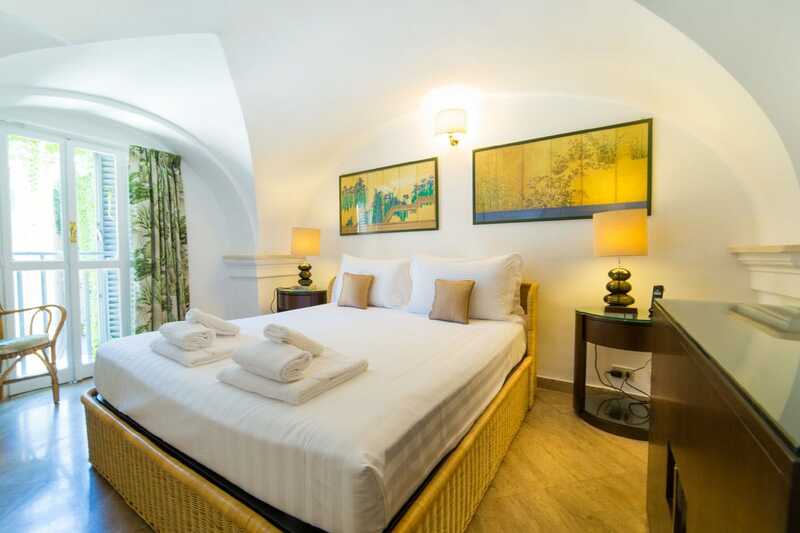 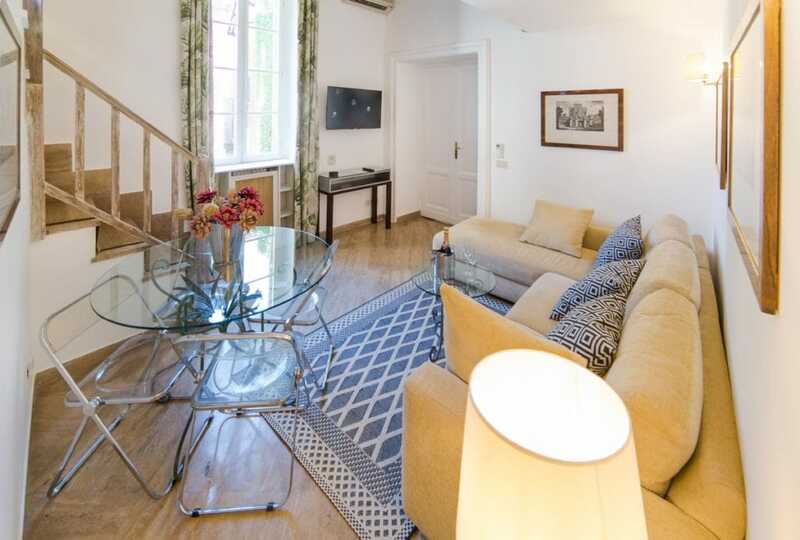 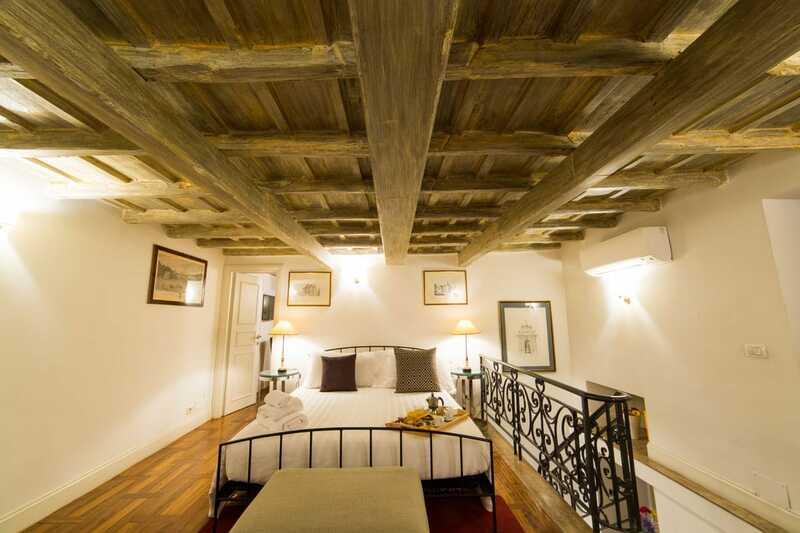 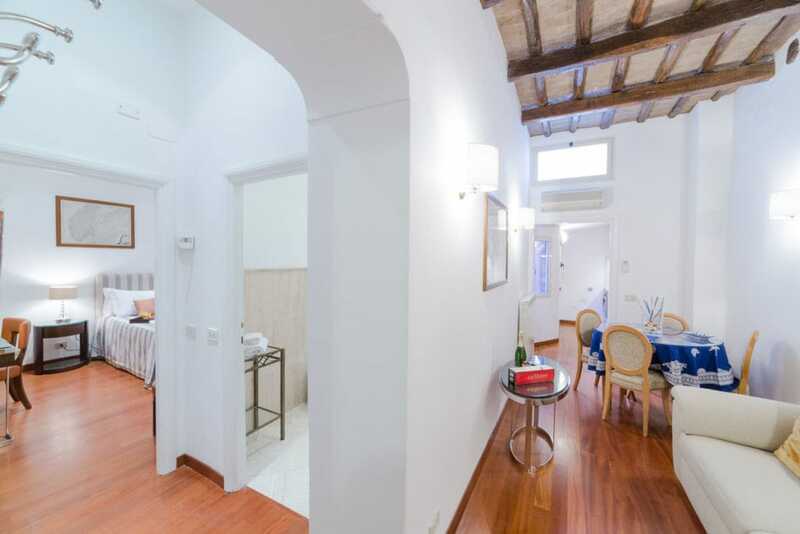 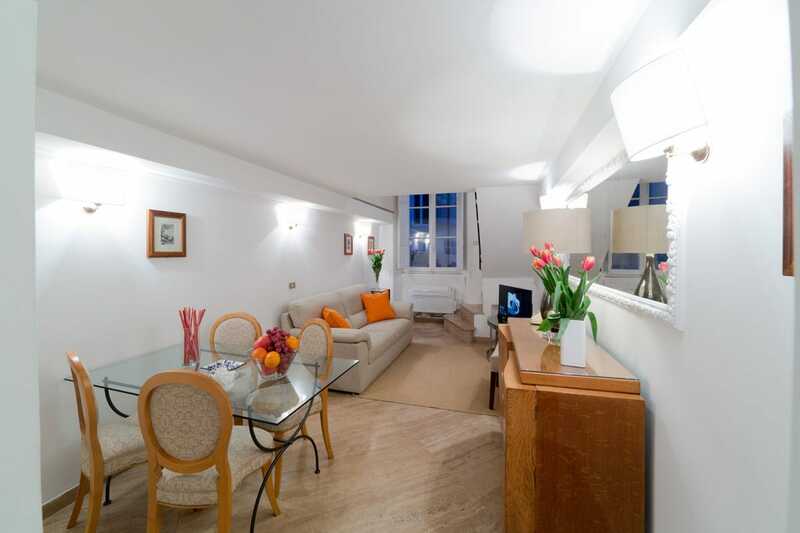 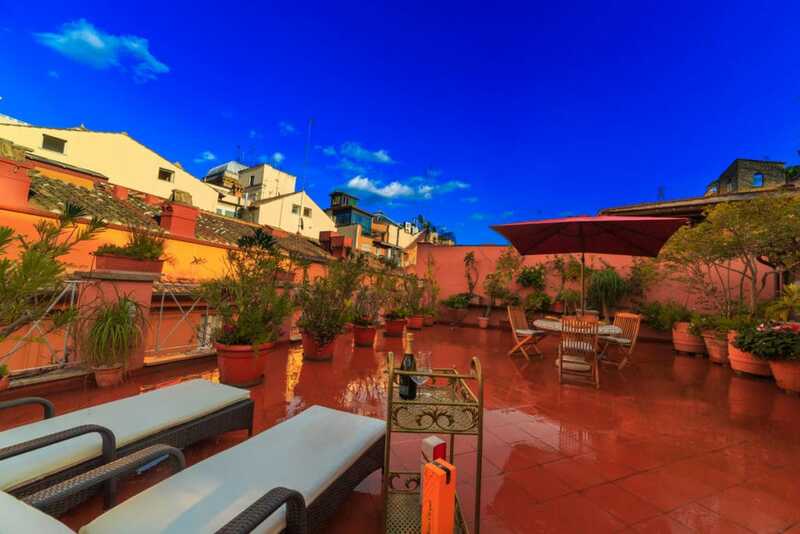 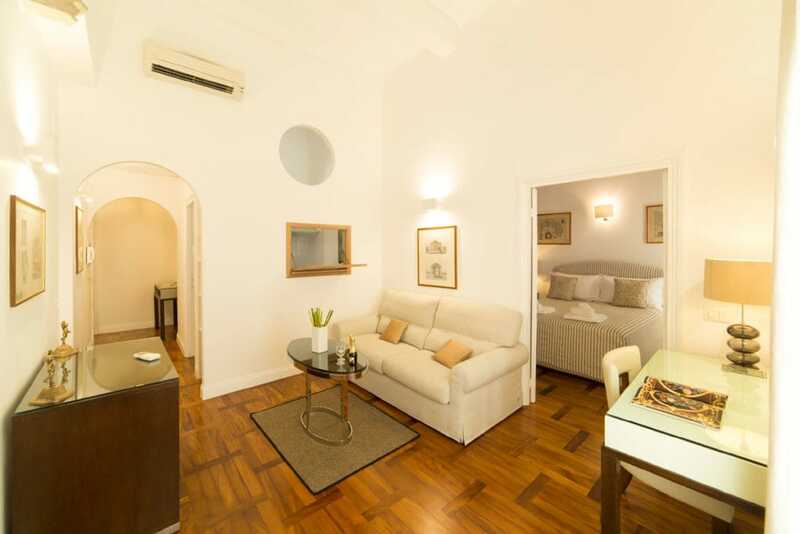 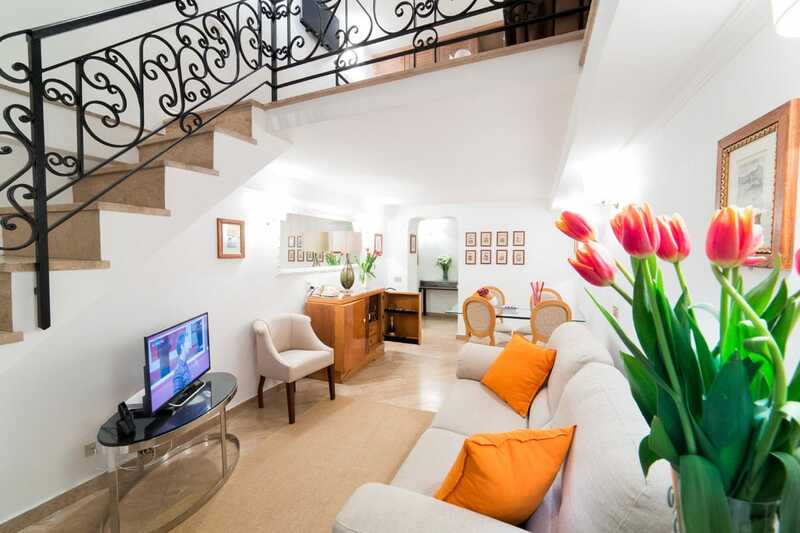 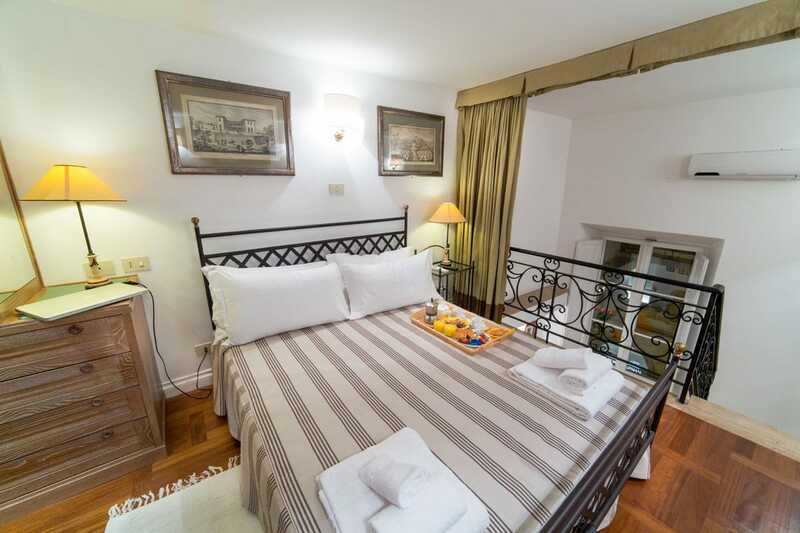 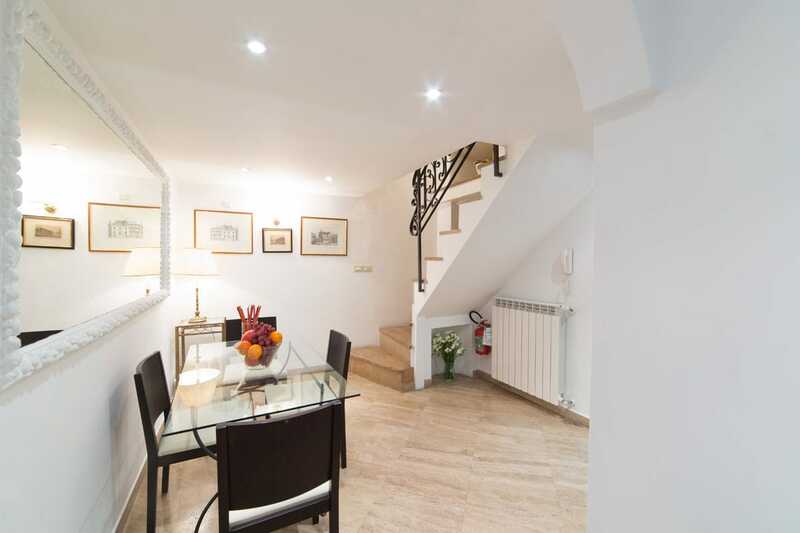 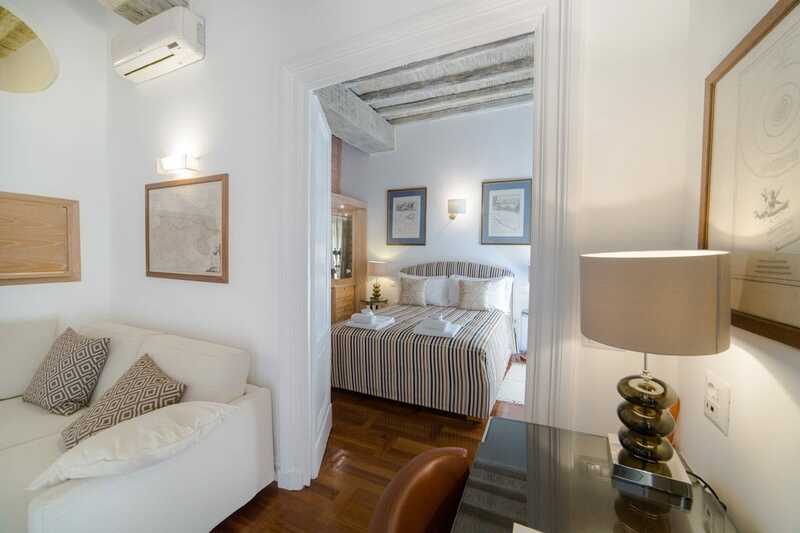 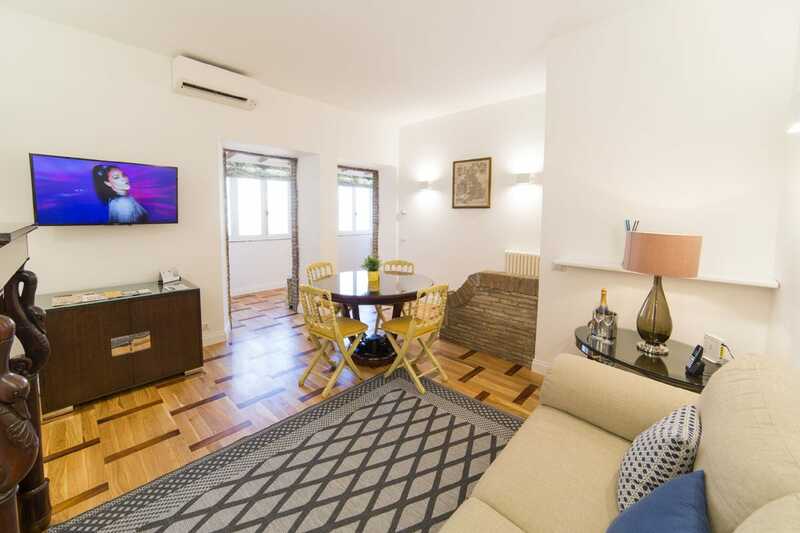 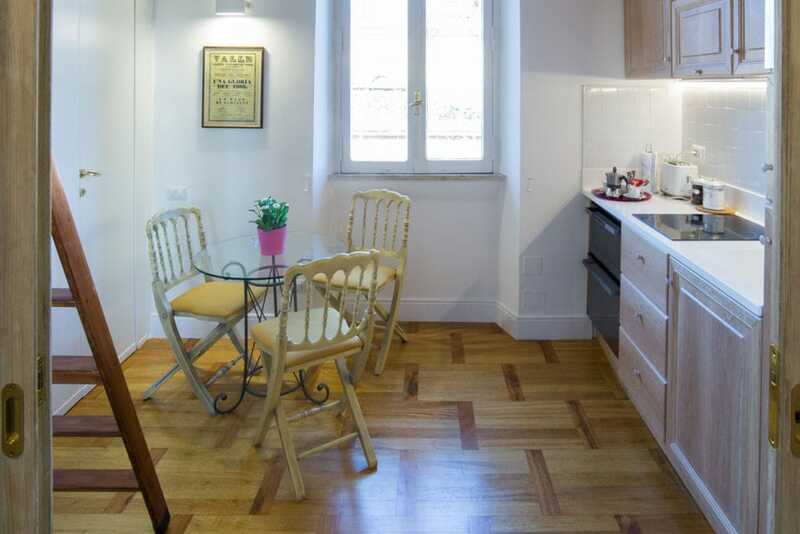 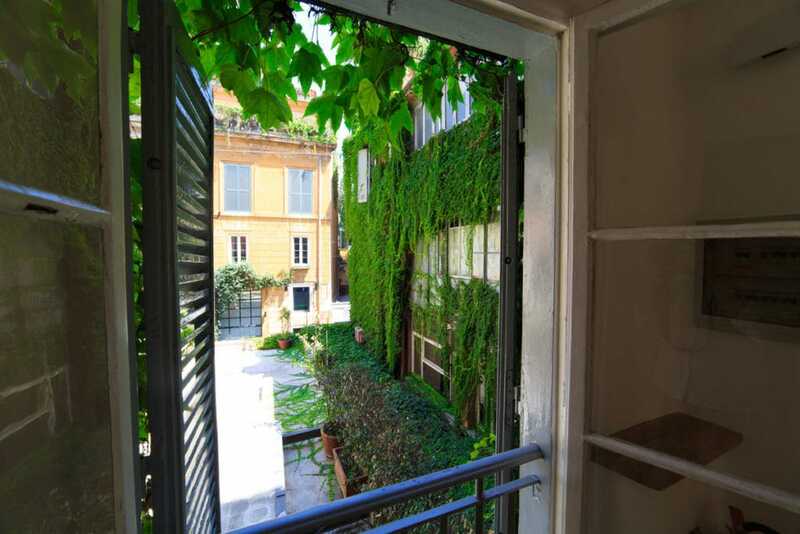 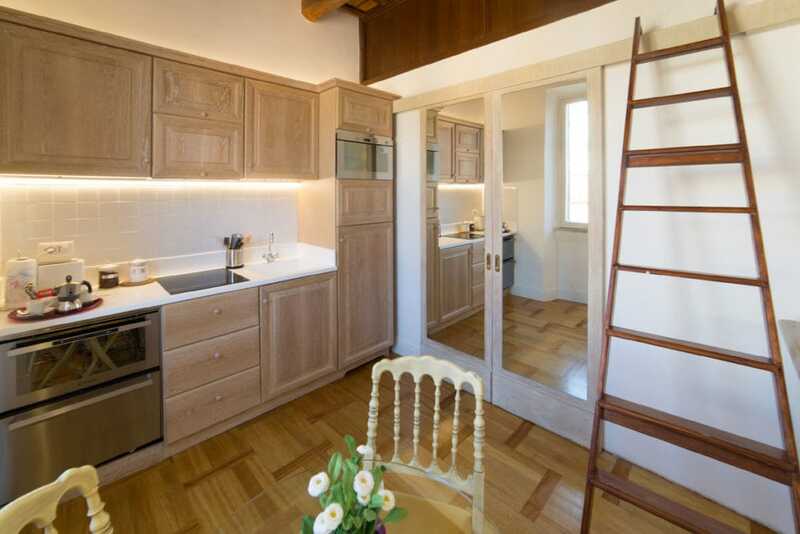 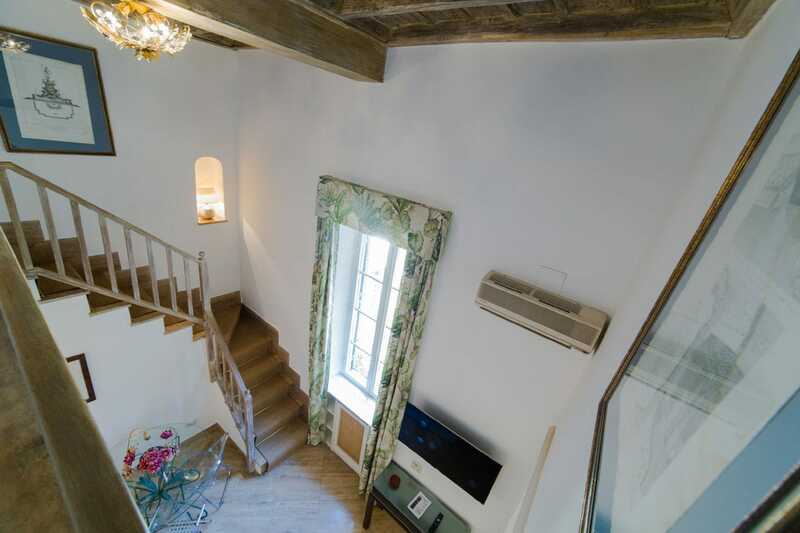 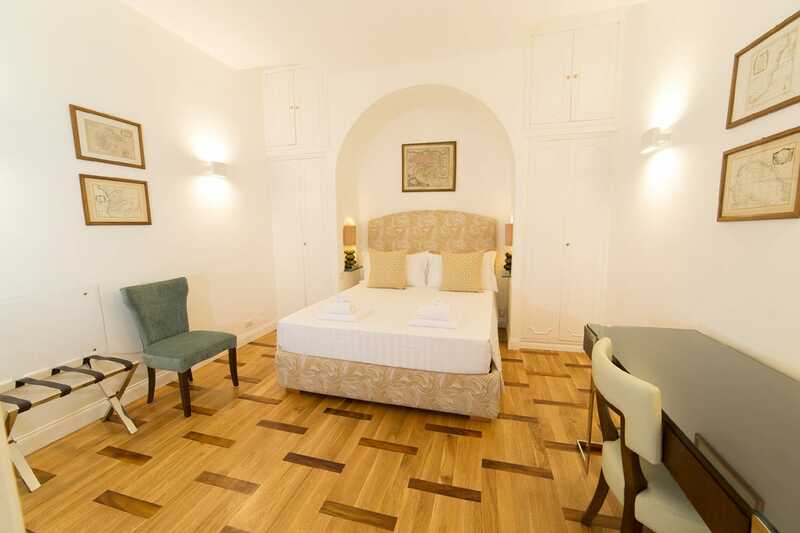 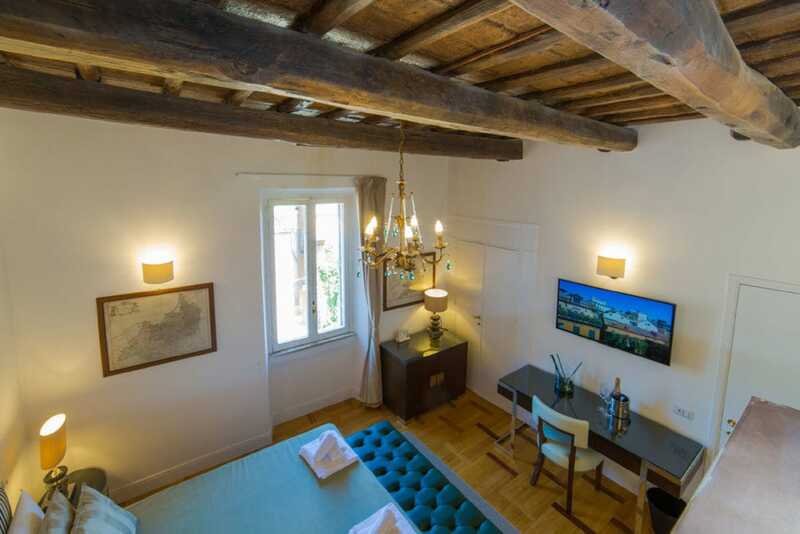 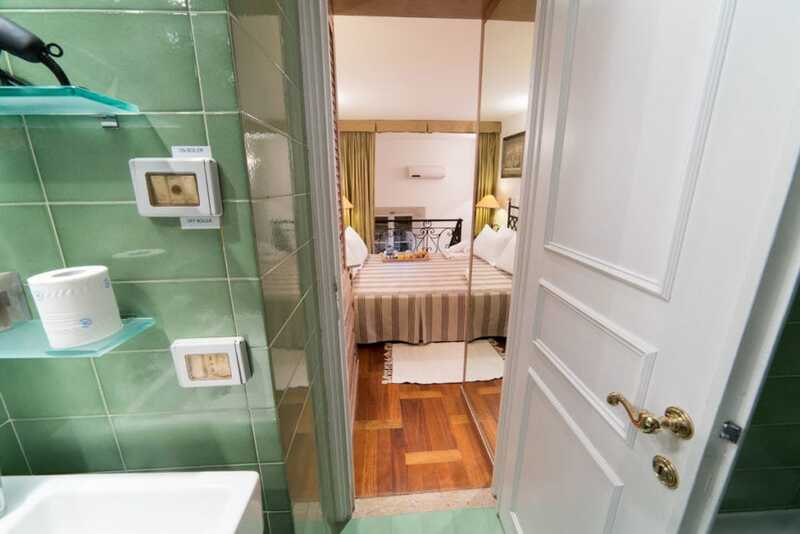 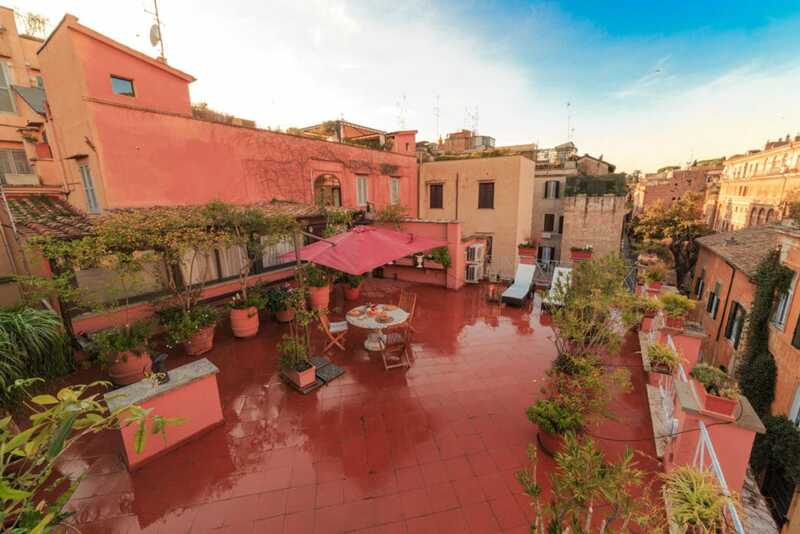 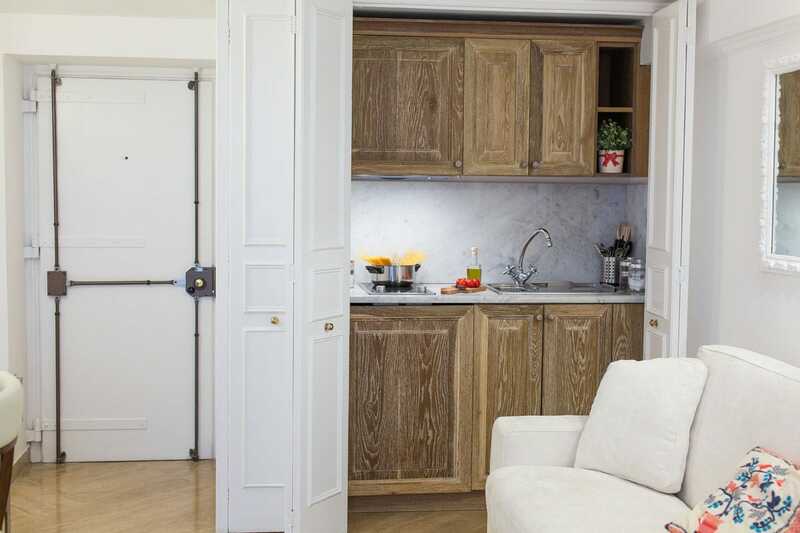 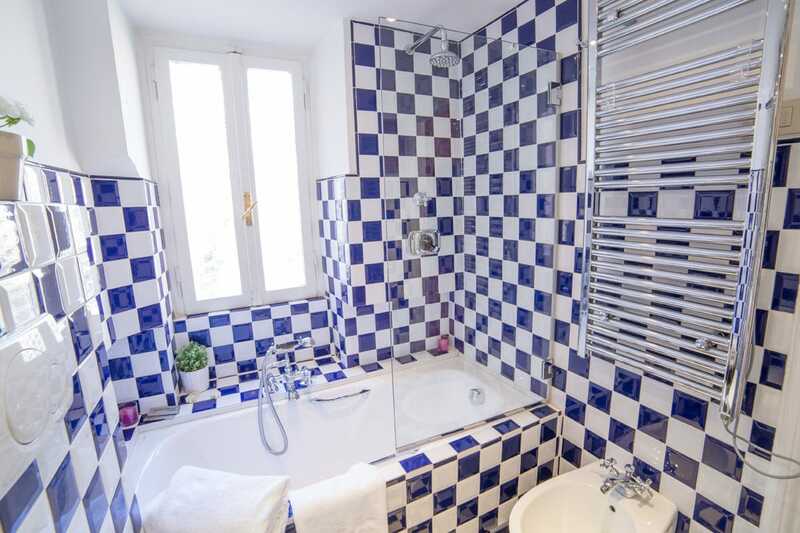 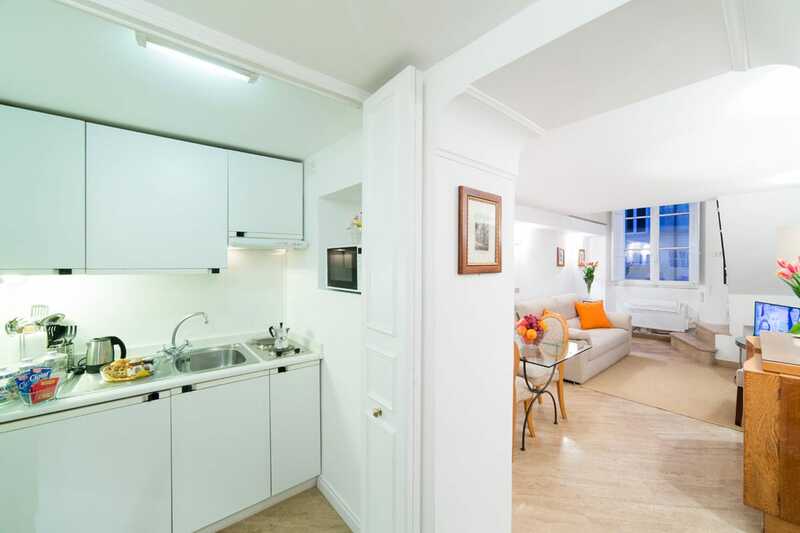 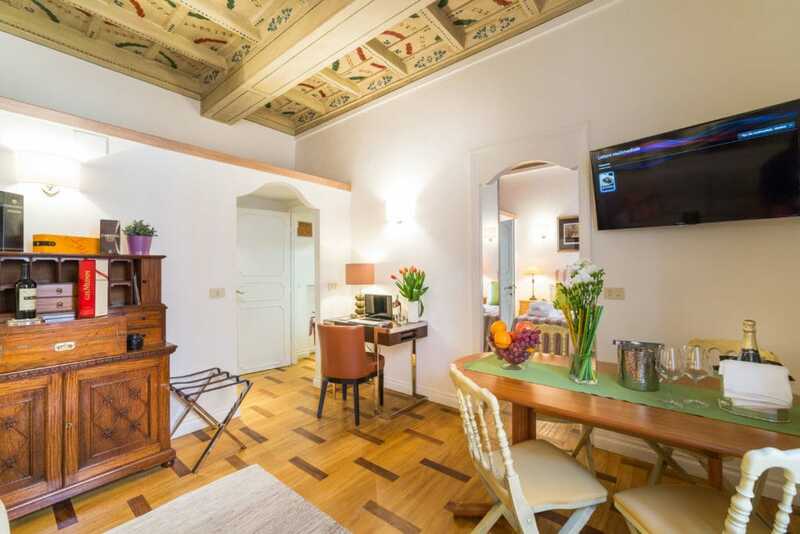 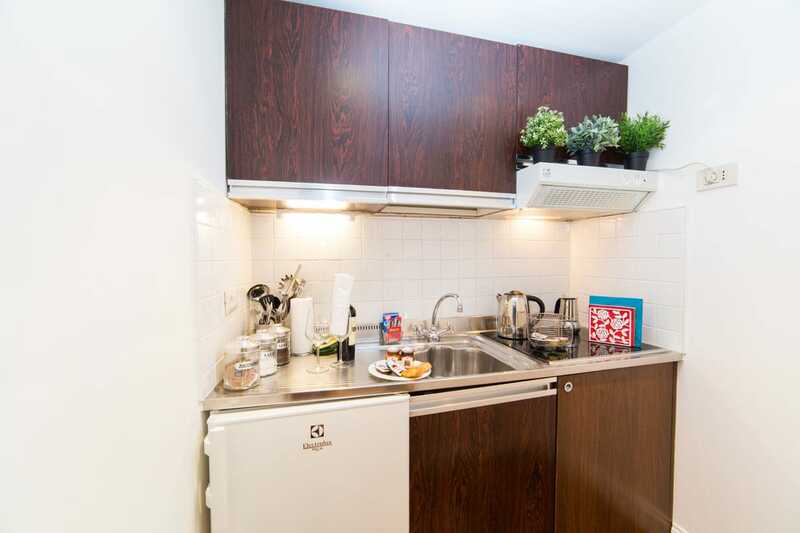 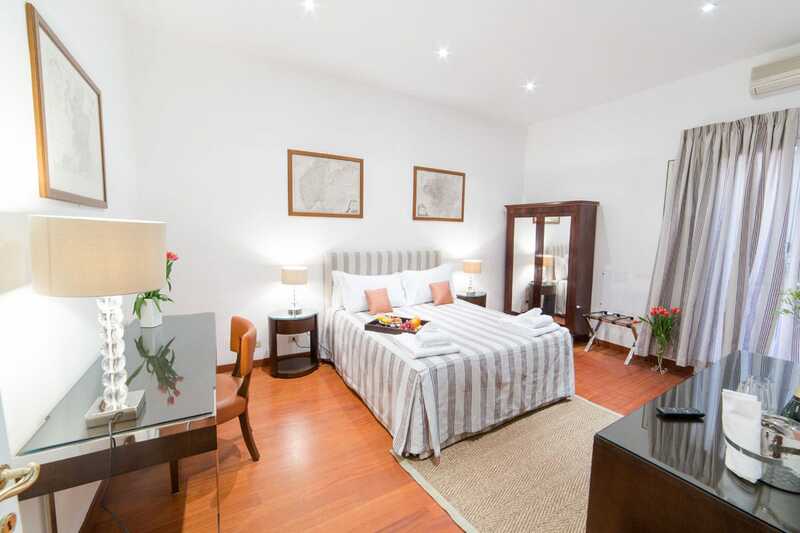 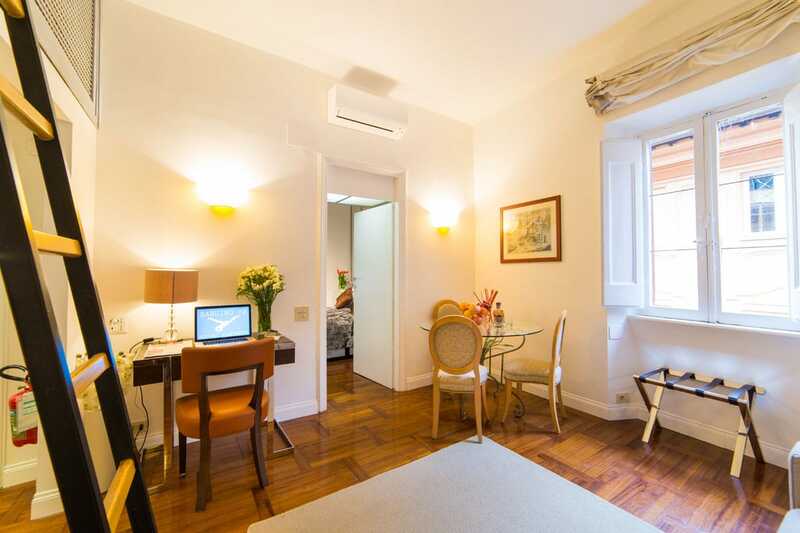 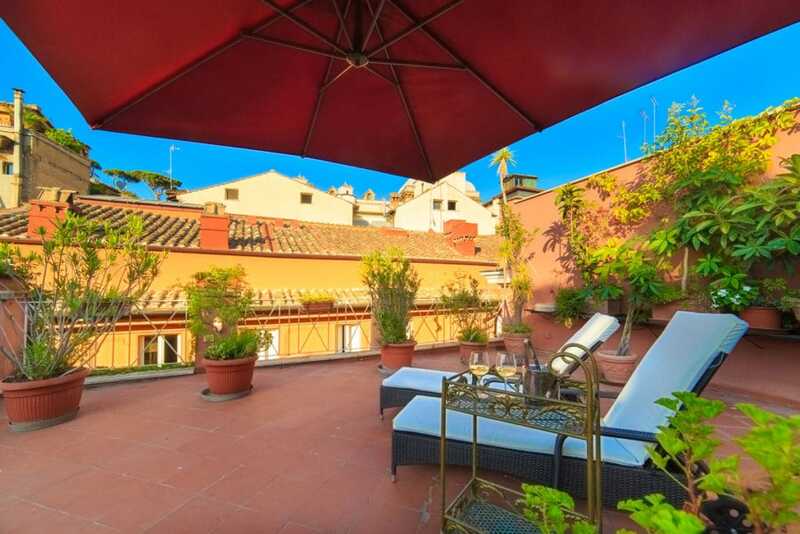 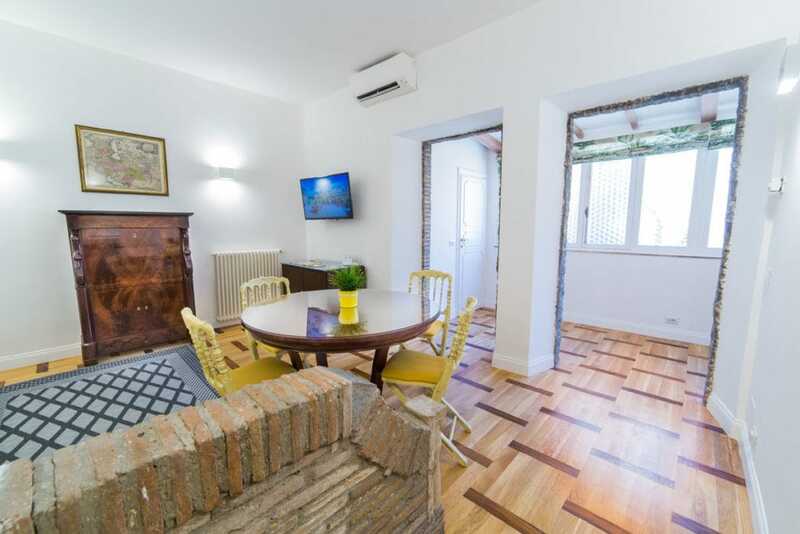 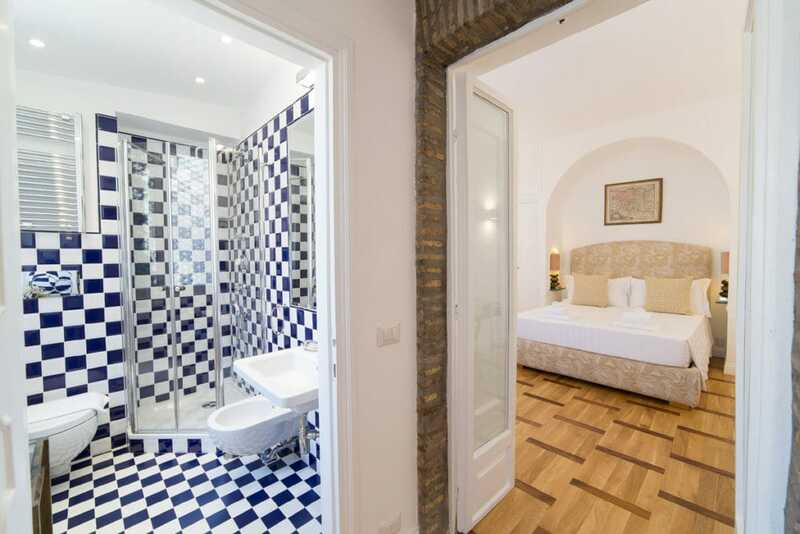 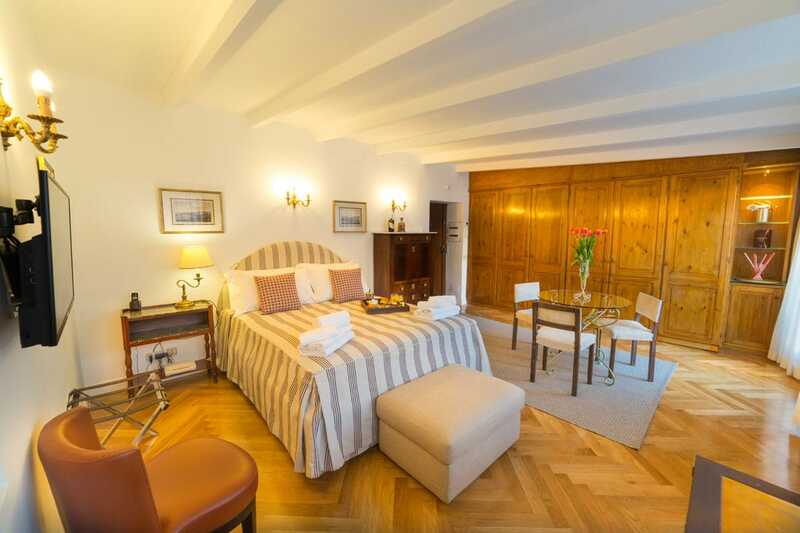 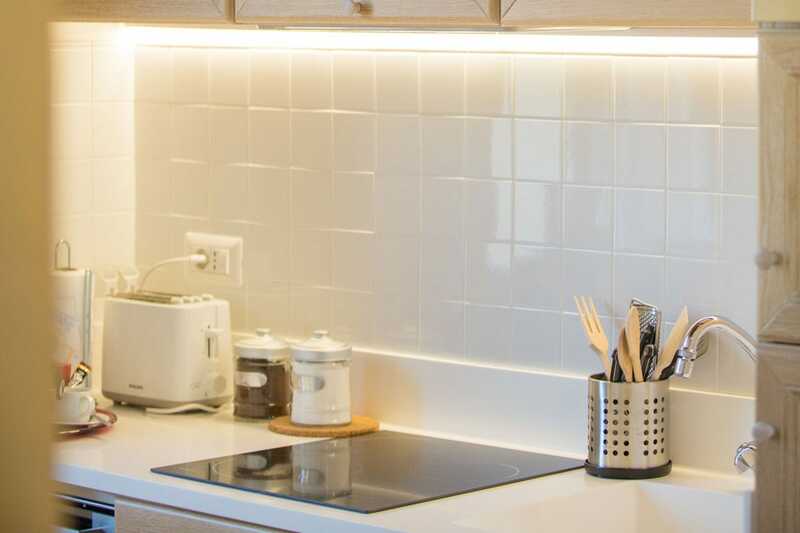 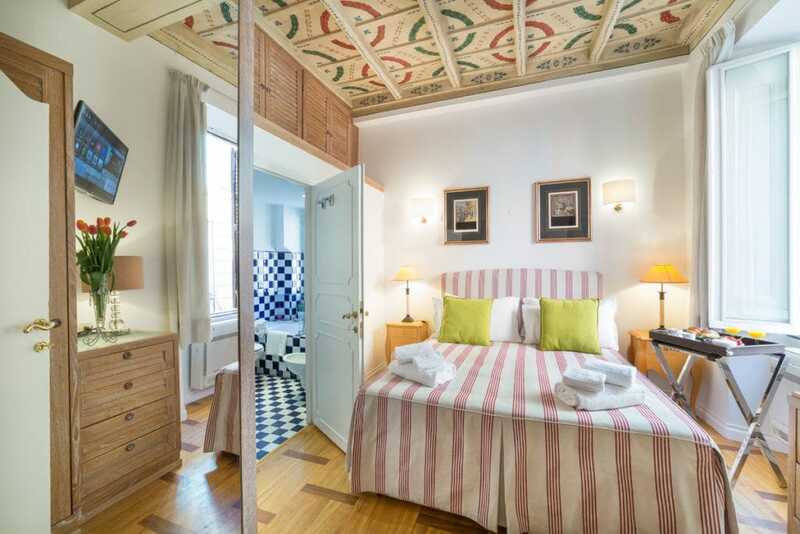 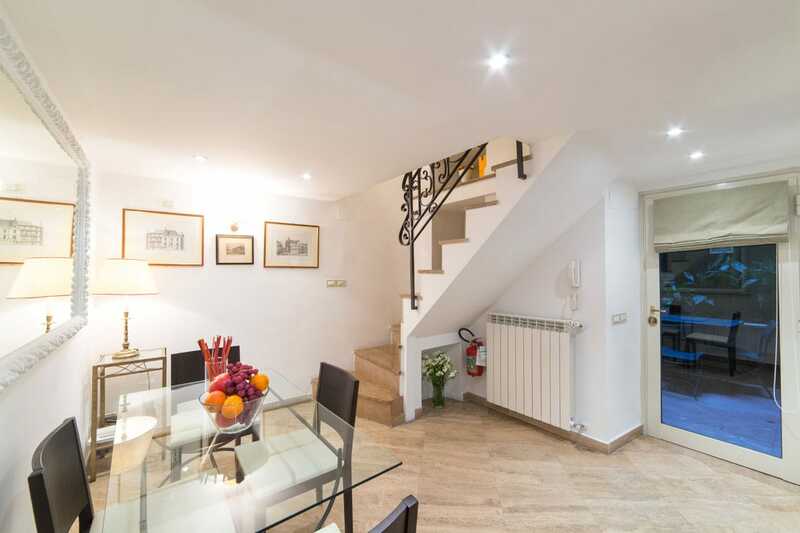 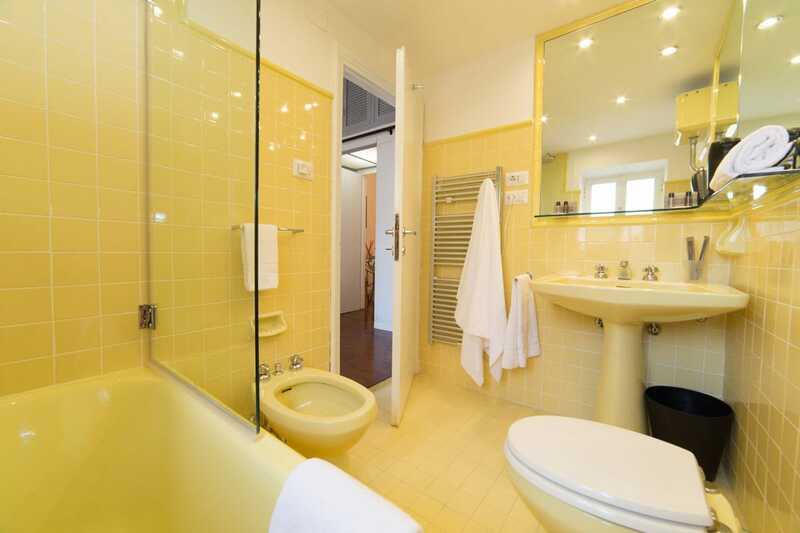 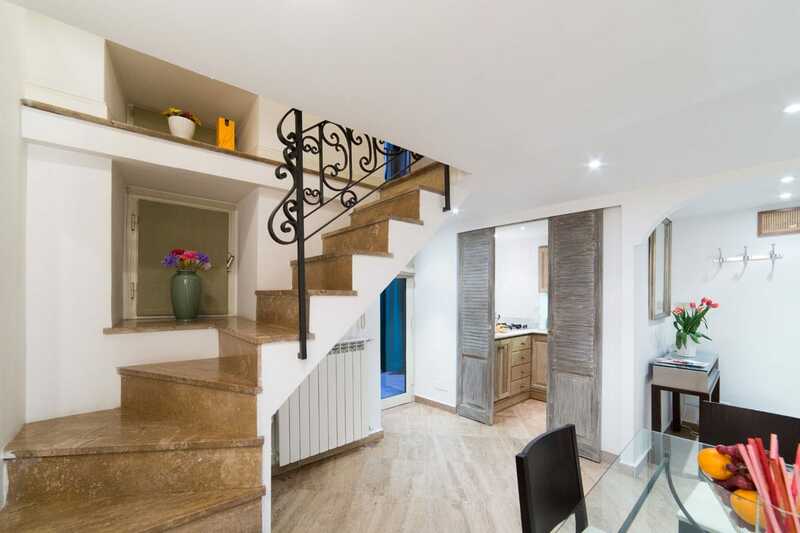 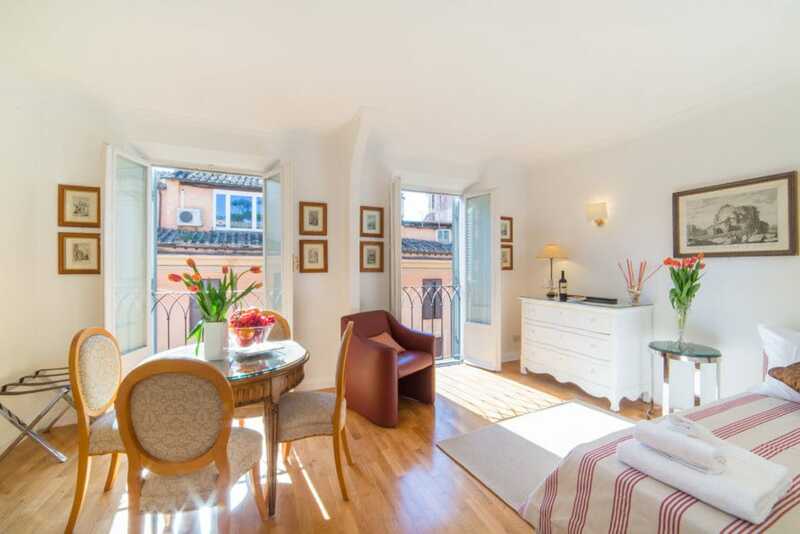 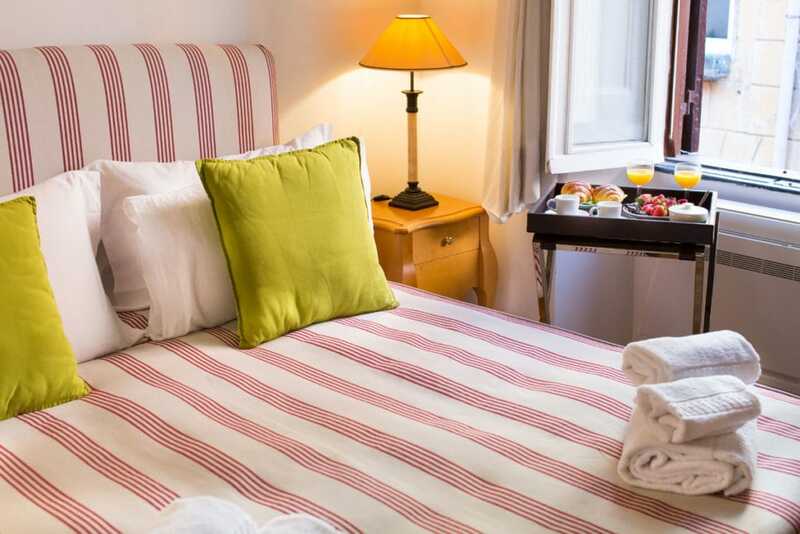 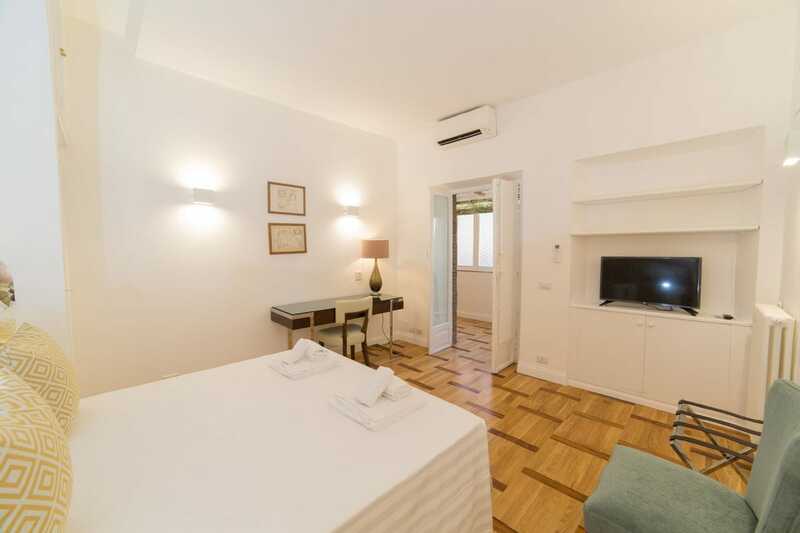 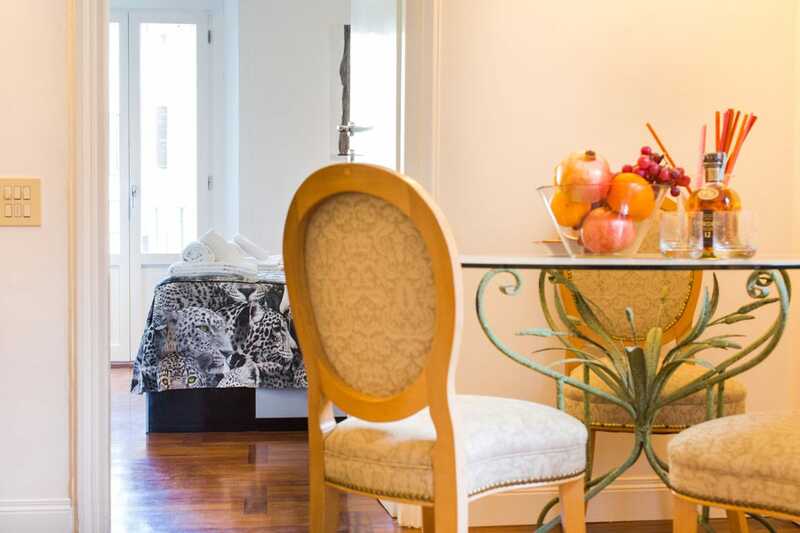 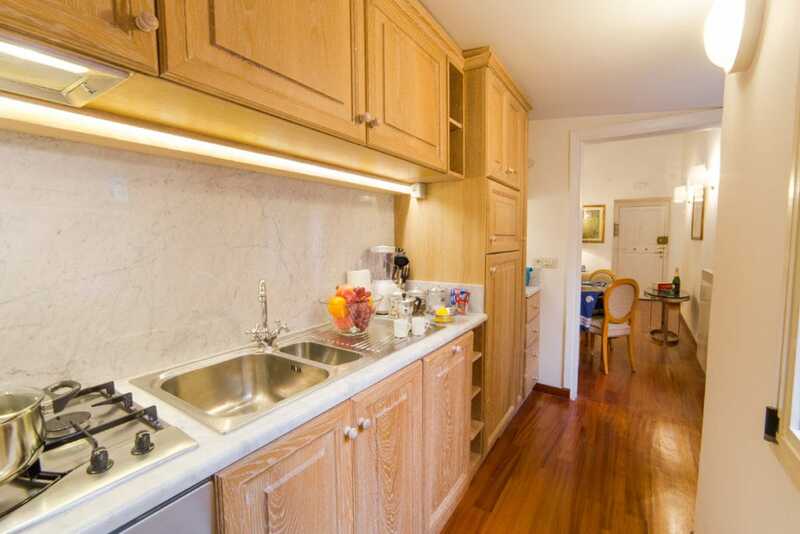 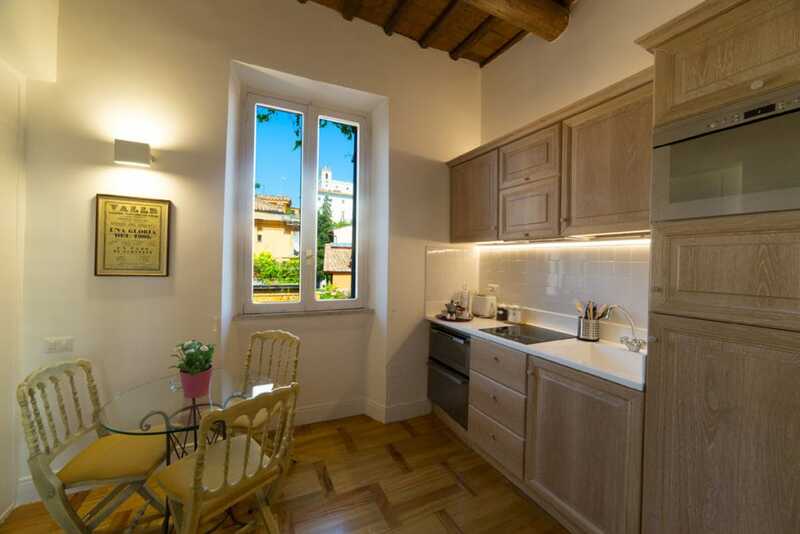 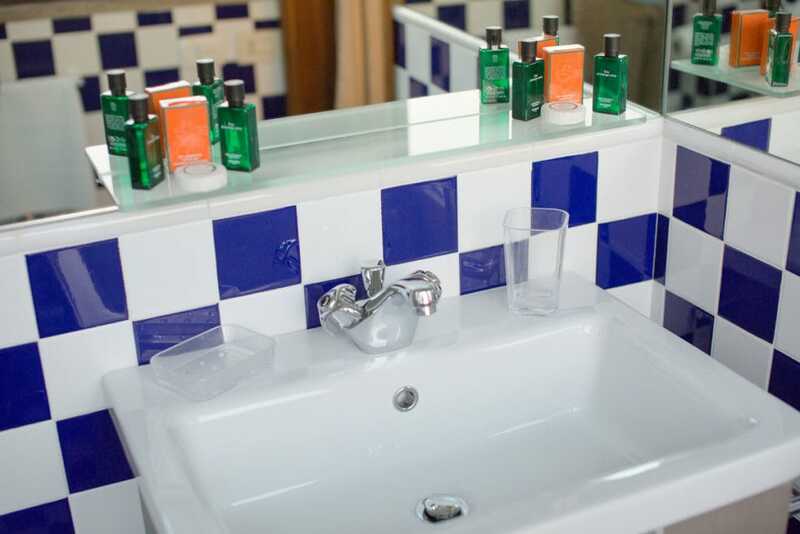 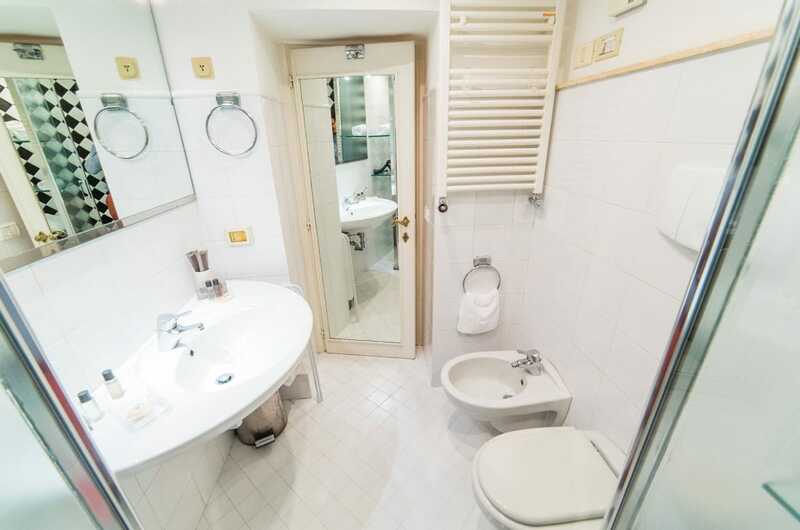 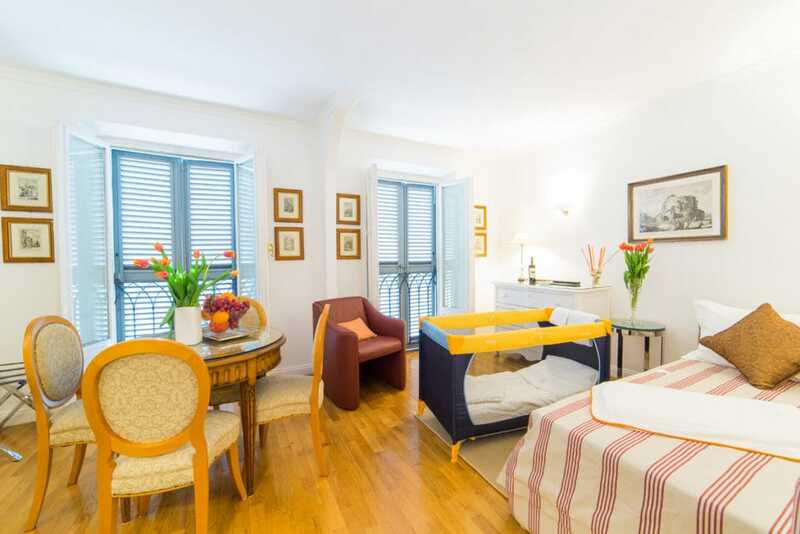 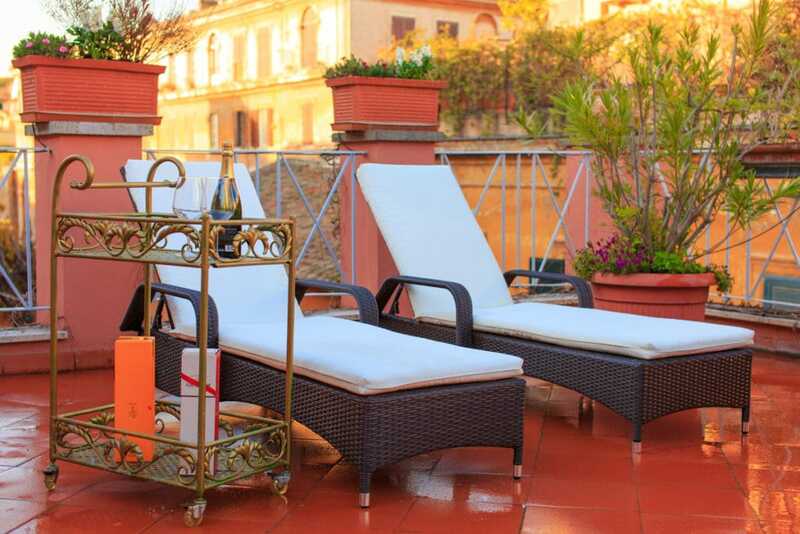 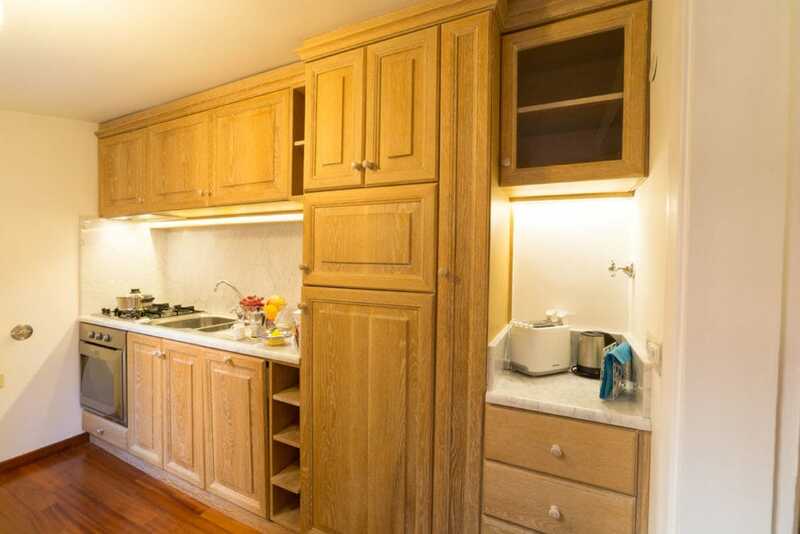 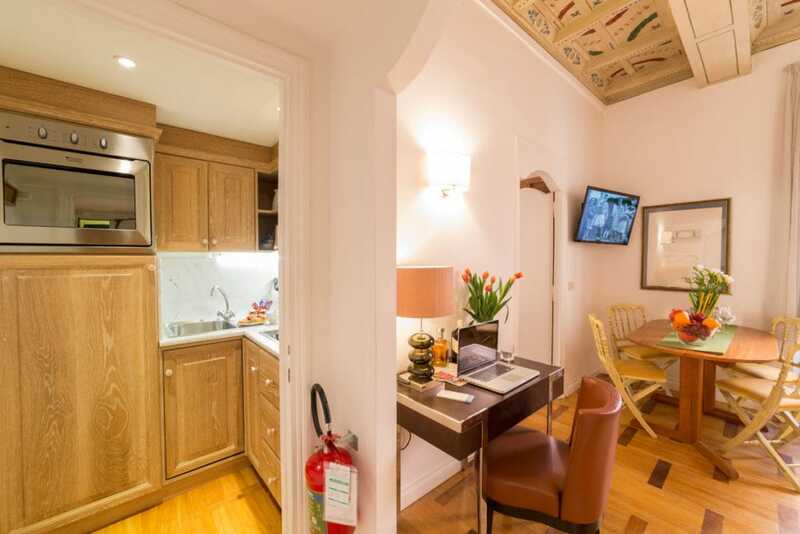 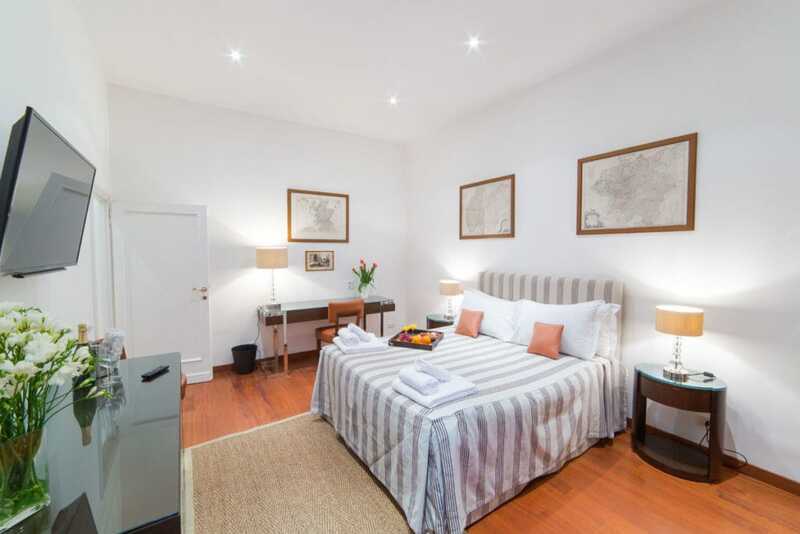 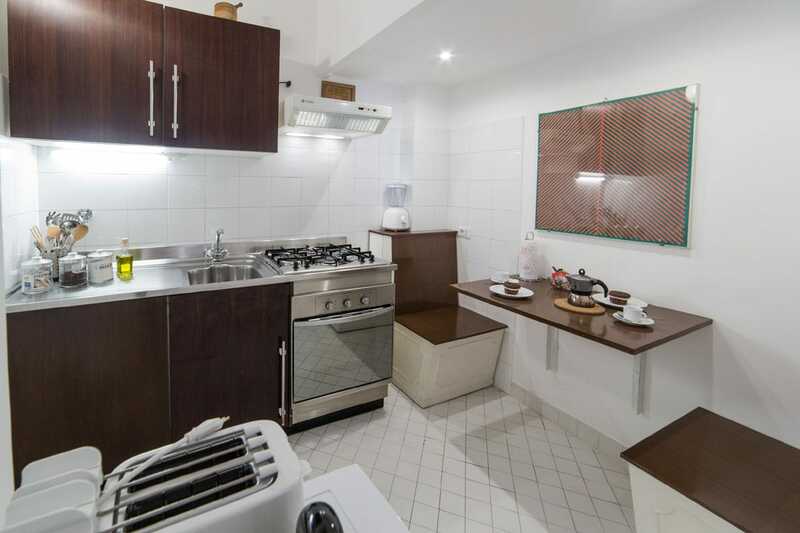 Room with double bed, kitchenette with oven and dishwasher, bathroom with shower, parquet flooring, tiled terrace of 100 square meters overlooking via Margutta and the “ Academy of France”, furnished with outdoor table and chairs, umbrella and sun beds , and flower boxes. 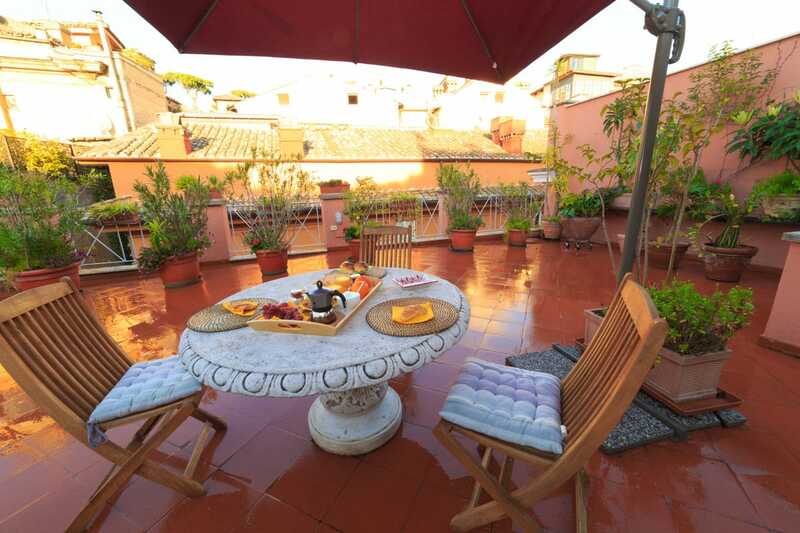 They have a pretty view overlooking Via Margutta. 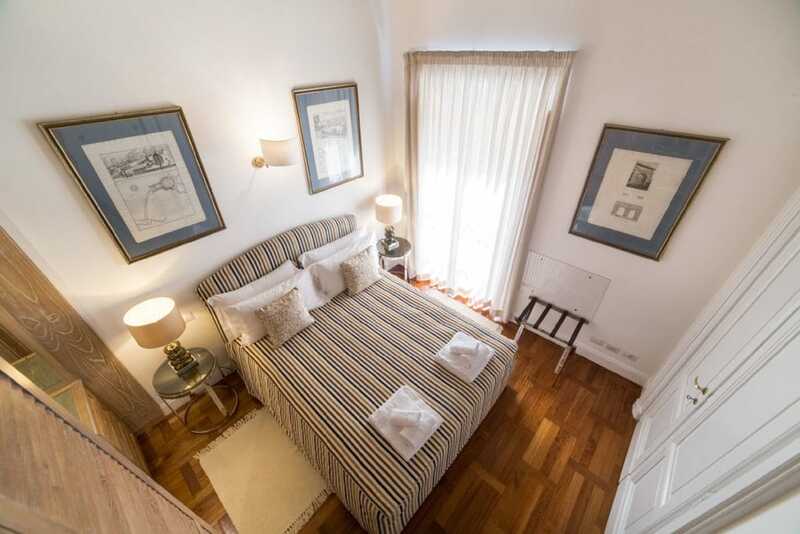 Room with double bed, living room with sofa, kitchen, bathroom with shower or bath, parquet floors. 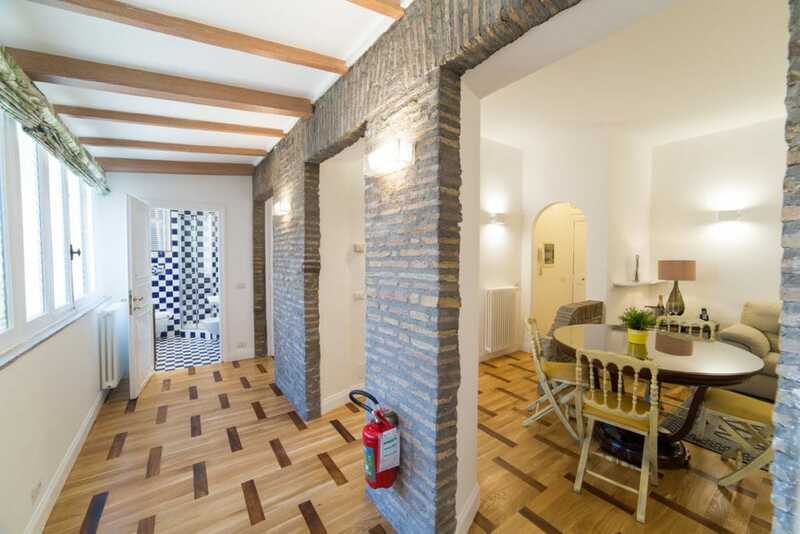 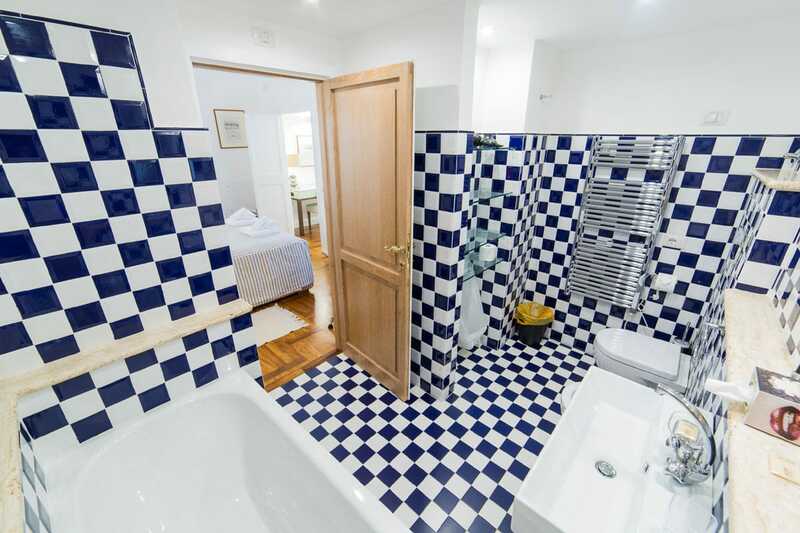 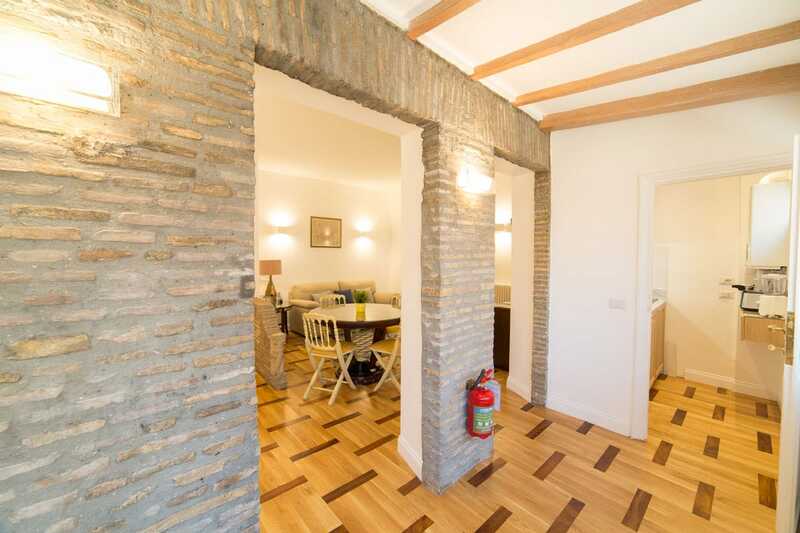 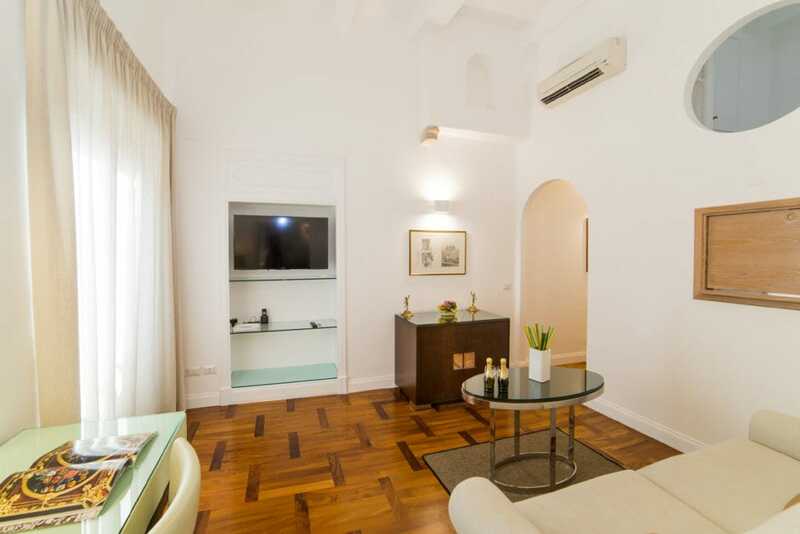 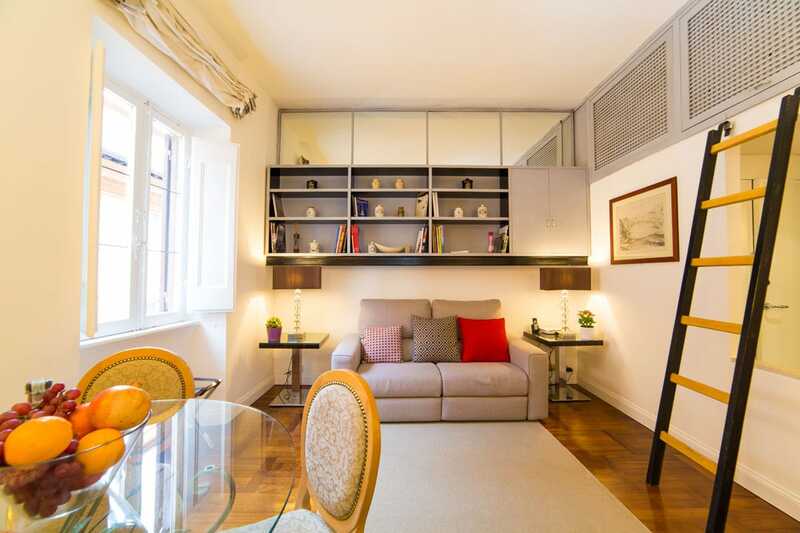 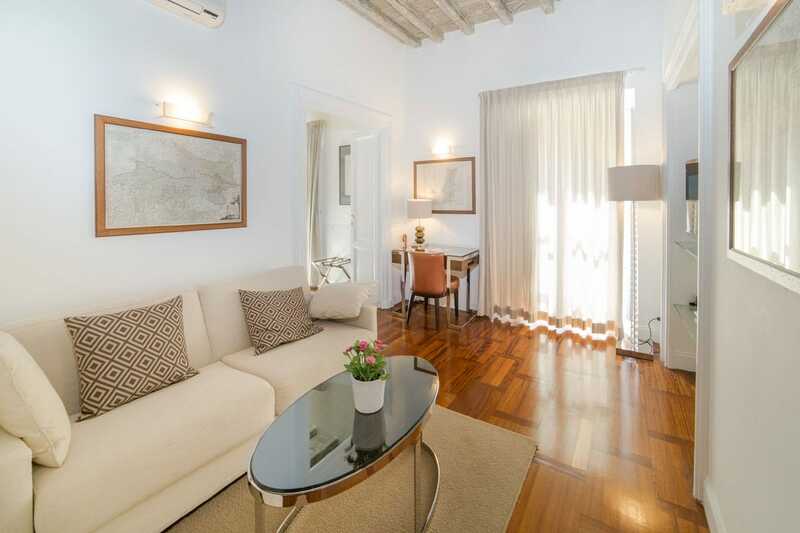 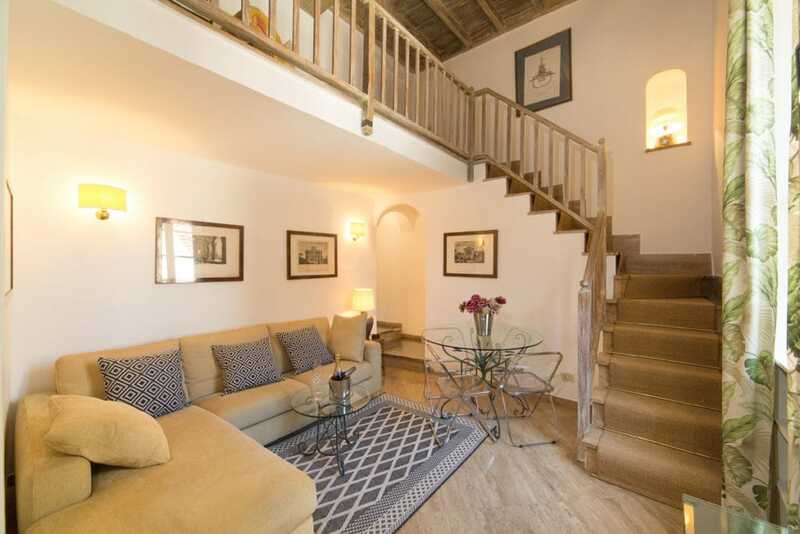 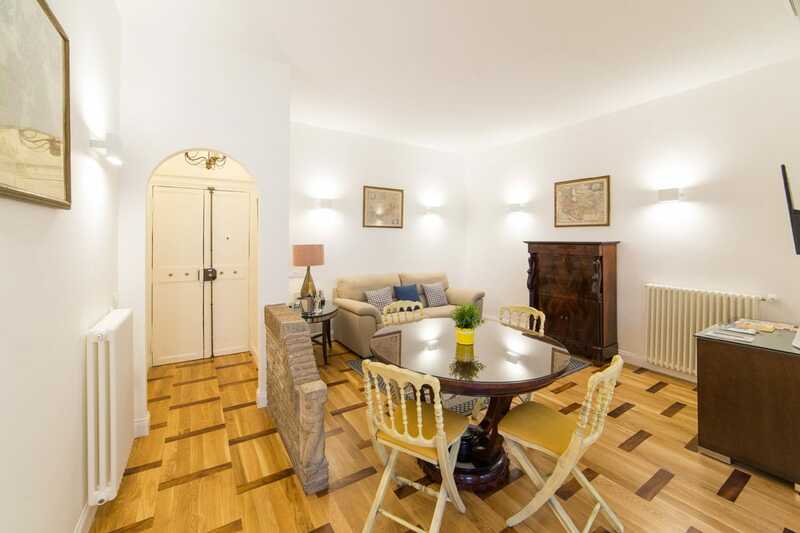 One room with double bed, and one room with single bed, dining room, fitted kitchen, bathroom, internal courtyard / patio with table and chairs.The floors are parquet and marble.